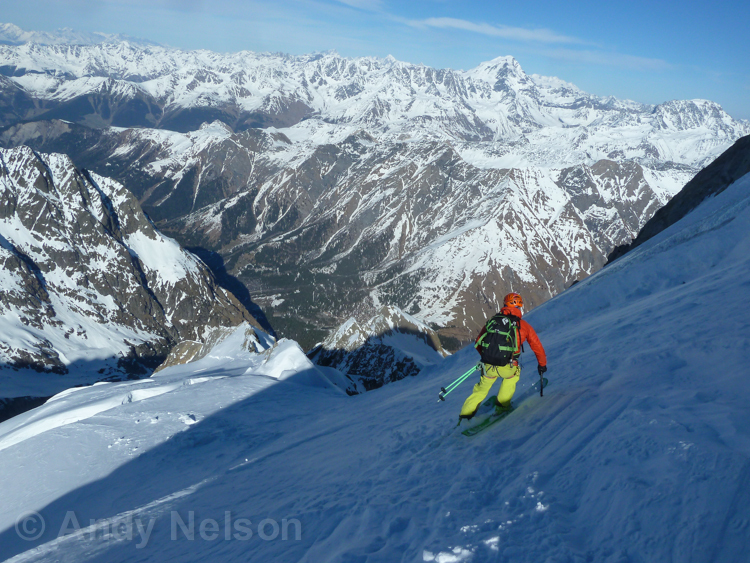 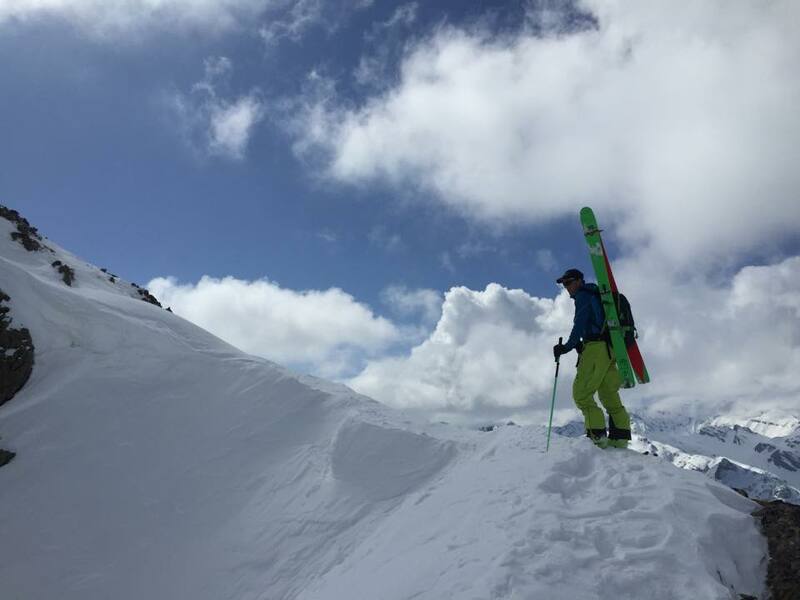 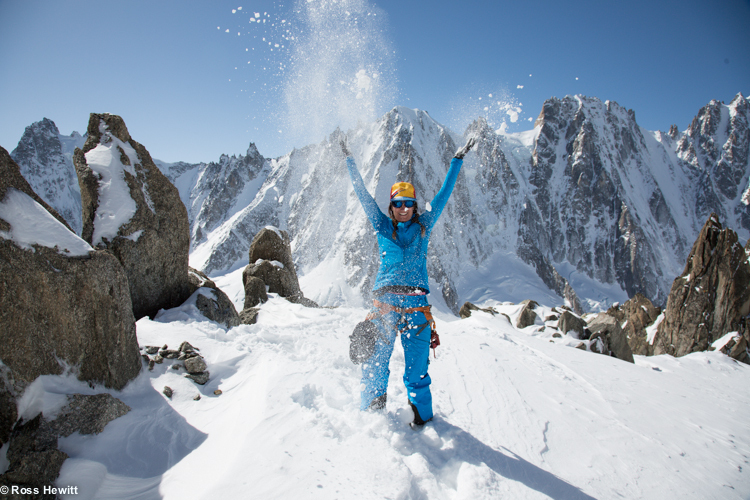 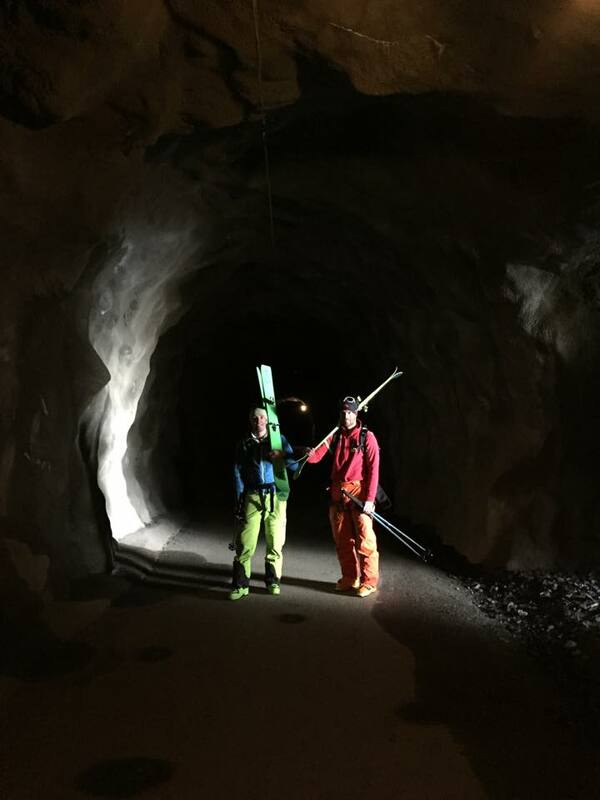 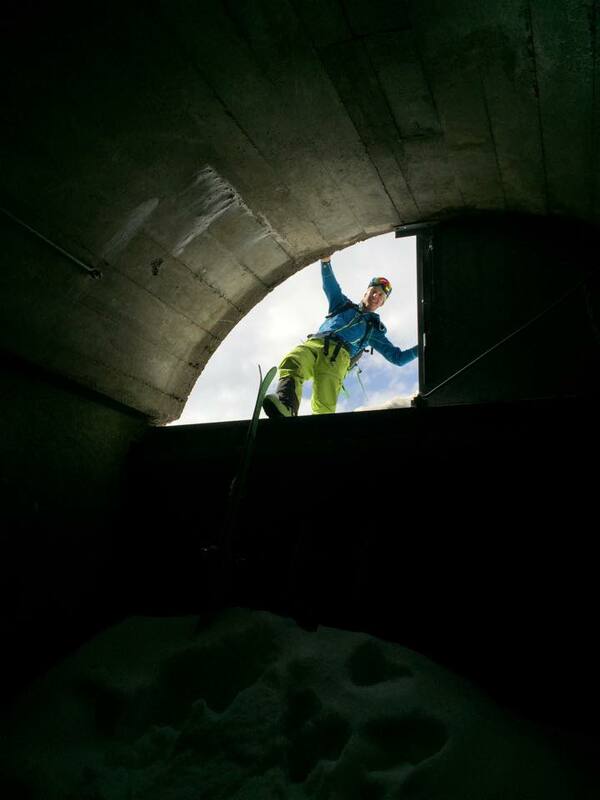 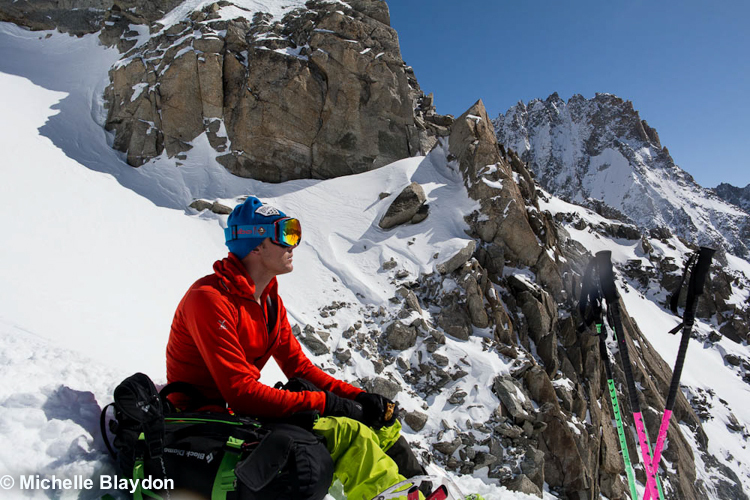 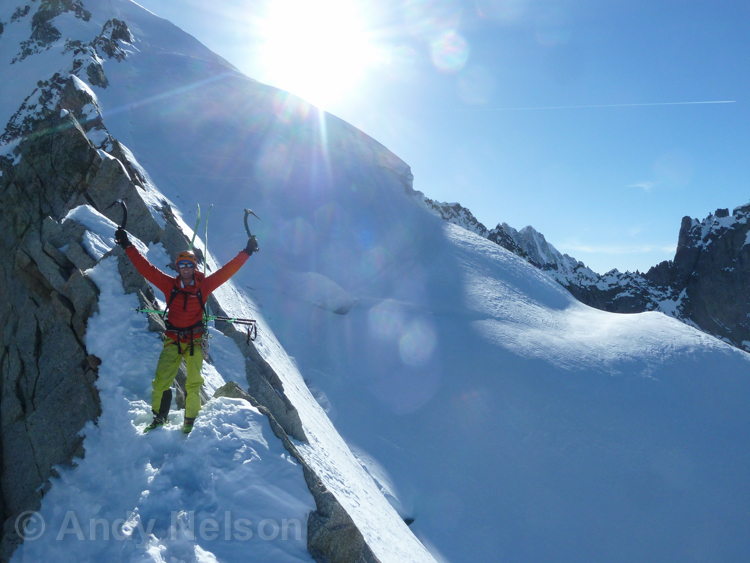 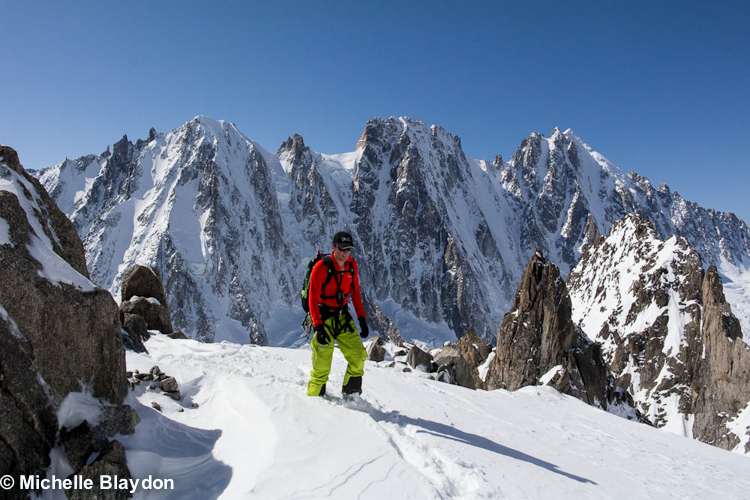 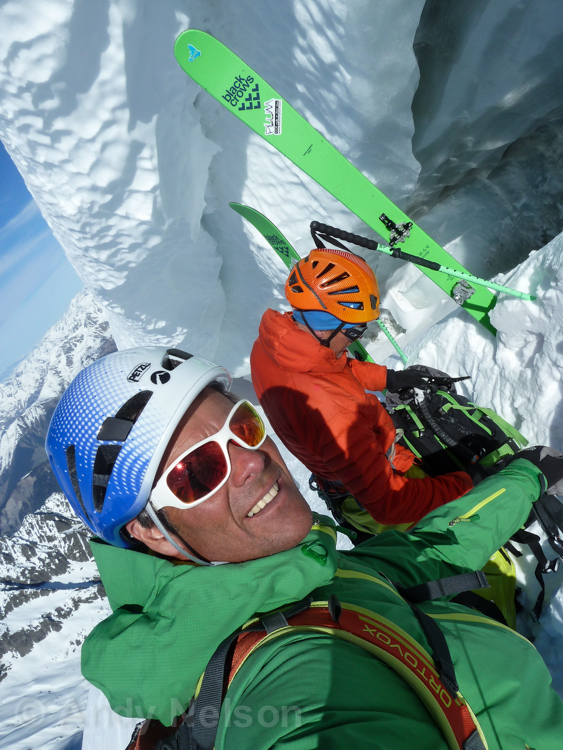 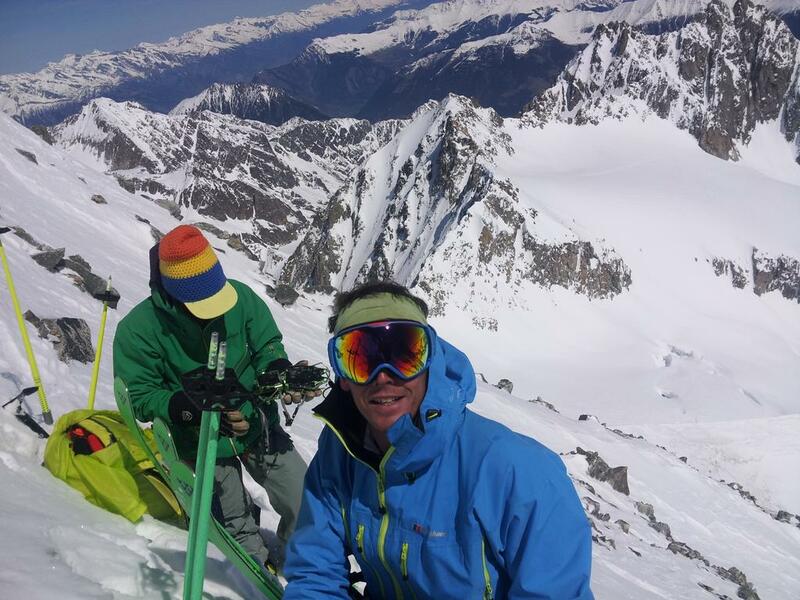 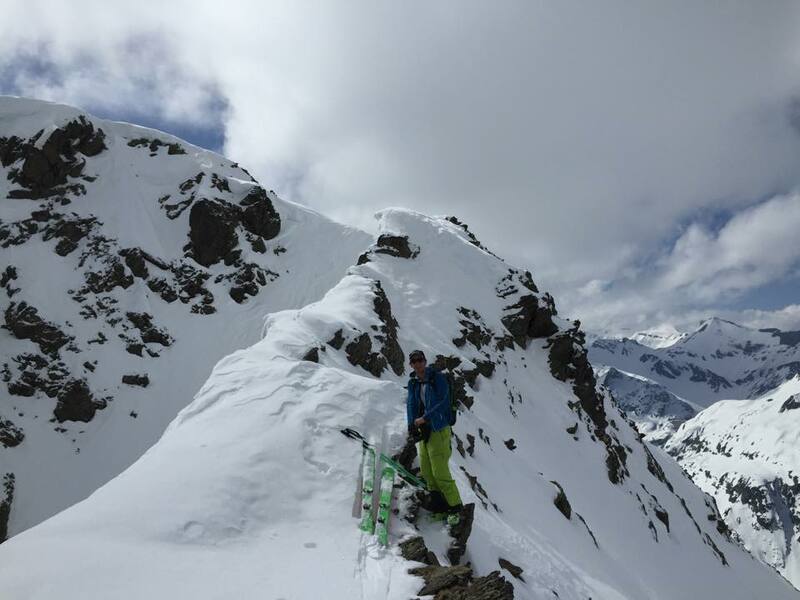 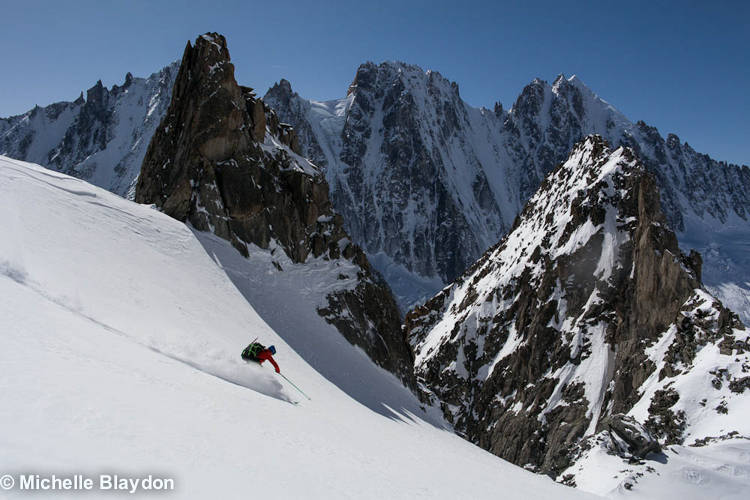 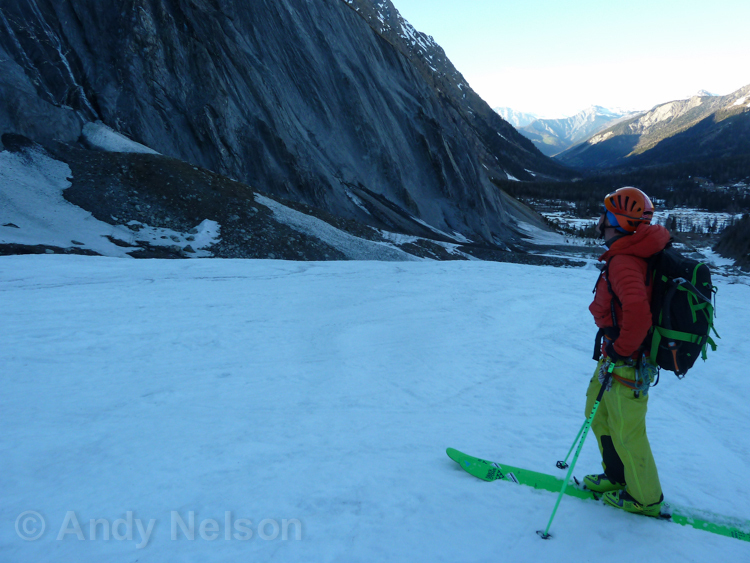 When my friend Andy Nelson sent me a message to say he was free mid-week and wanted to do something, I knew the exact thing that he would love as a climber and skier. 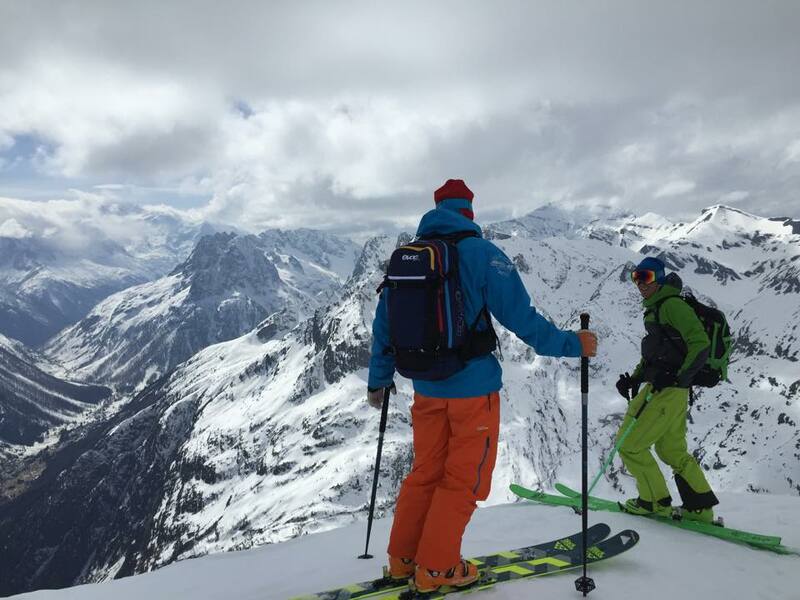 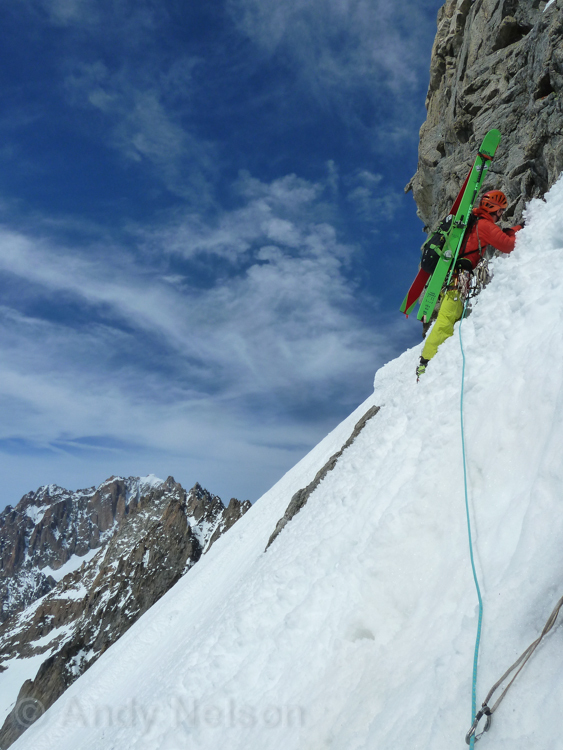 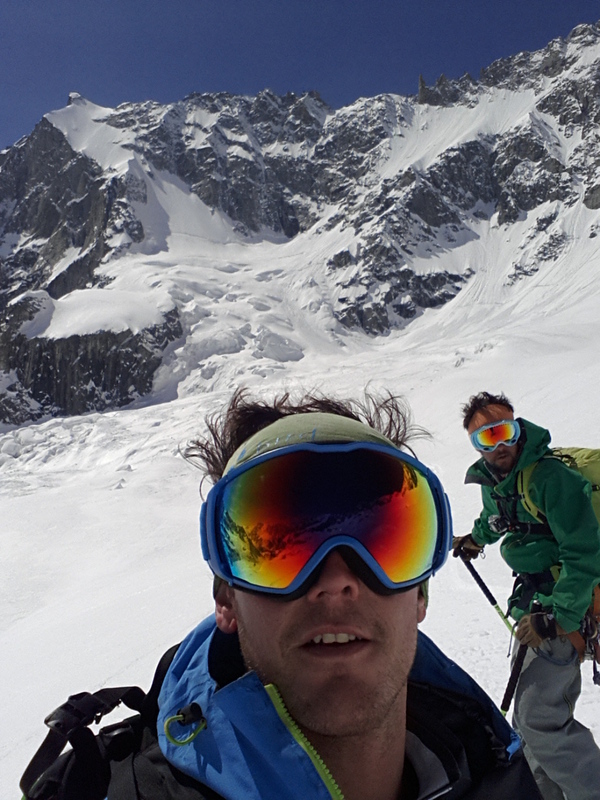 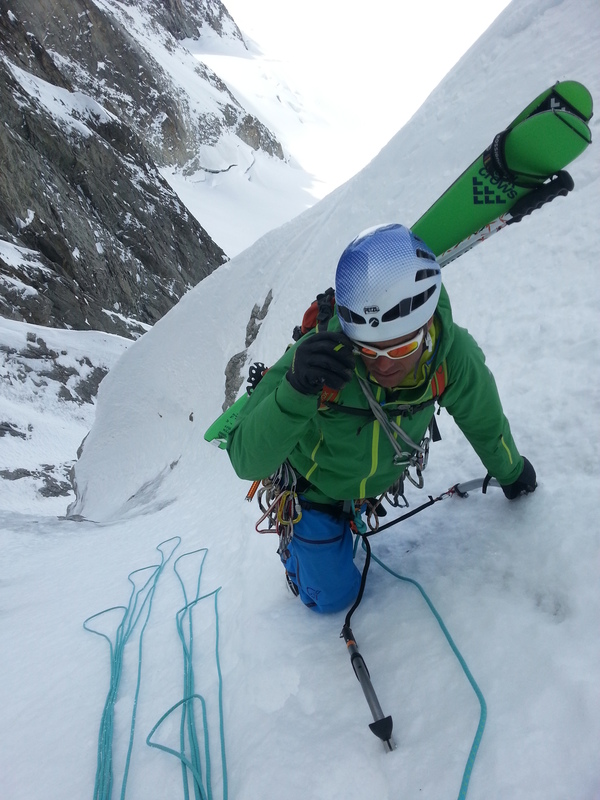 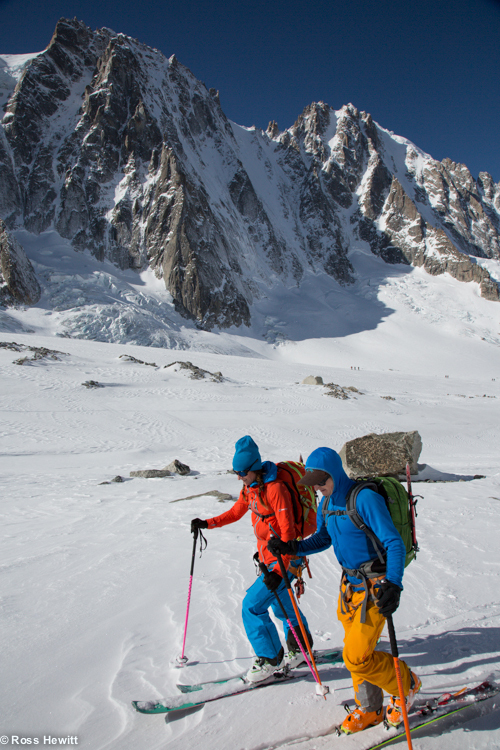 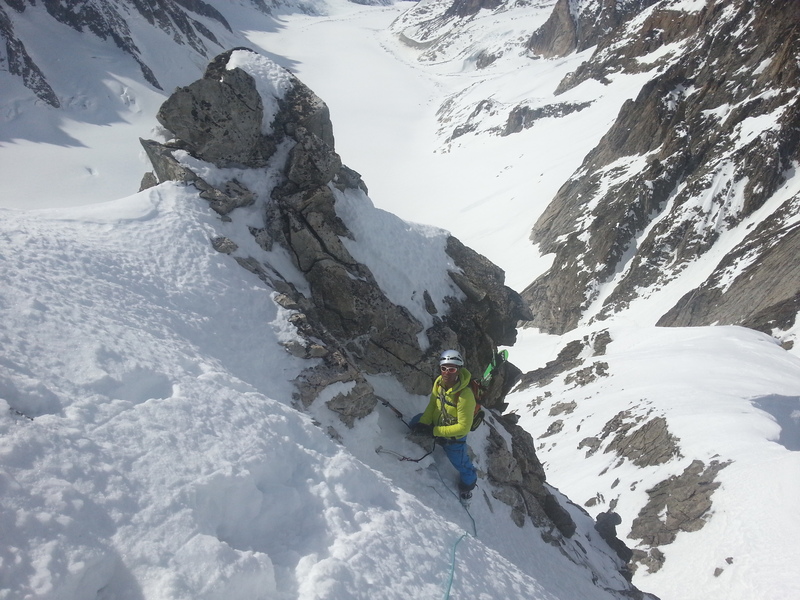 Although we had both started the guide scheme at the same time, Andy and myself had never had the chance to spend any time in the mountains together and I was psyched to get he chance to do an Alpine route with Andy. 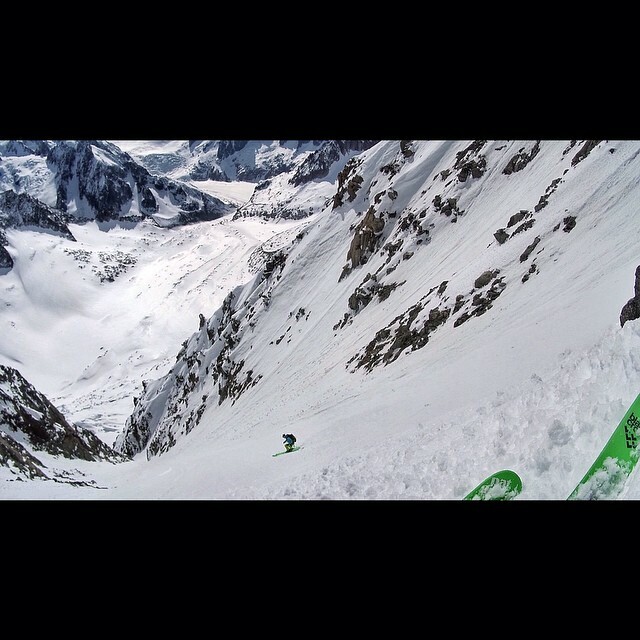 Andy at http://www.infinitymountainguides.co.uk is one one the most professional , well trained and talented guys I know, in both climbing and skiing disciplines. 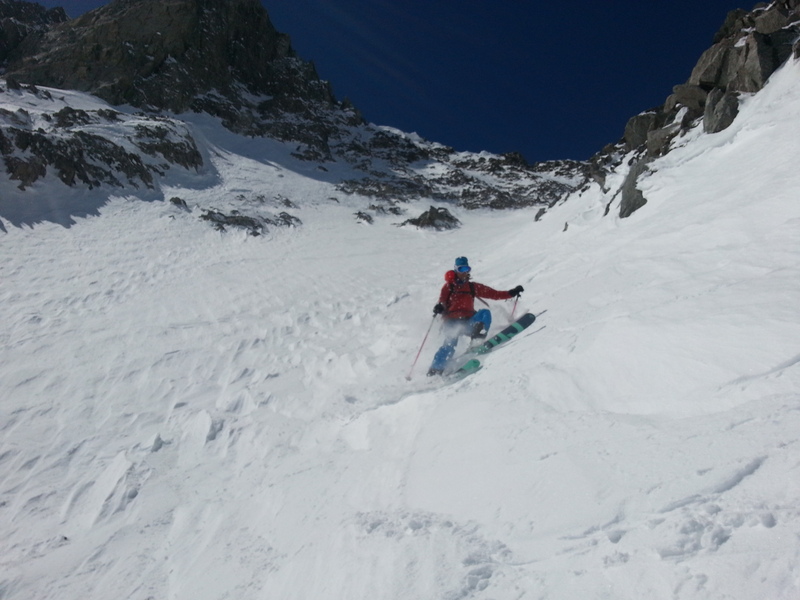 Along with Andy Townsend and Paul Chidlow they put us to shame during our guides training! 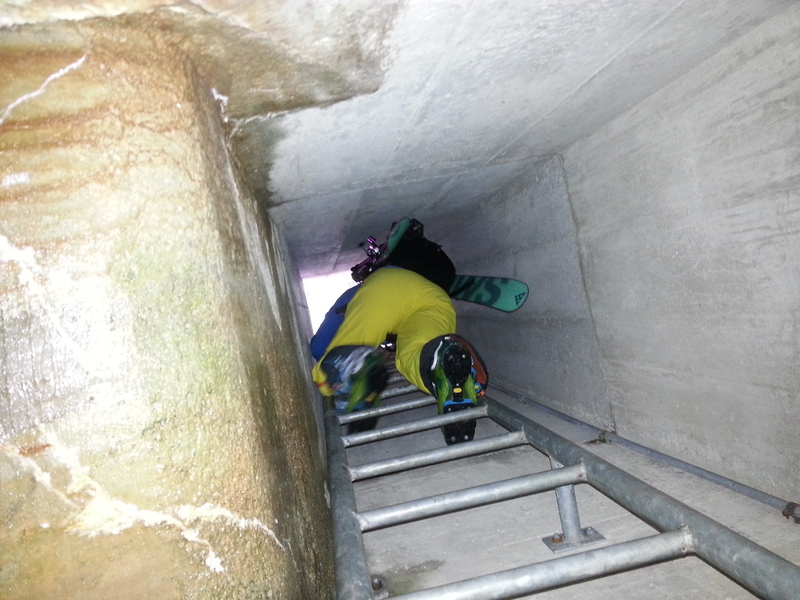 Neither of us had climbed for months so something fun rather than technically challenging was the order of the day. 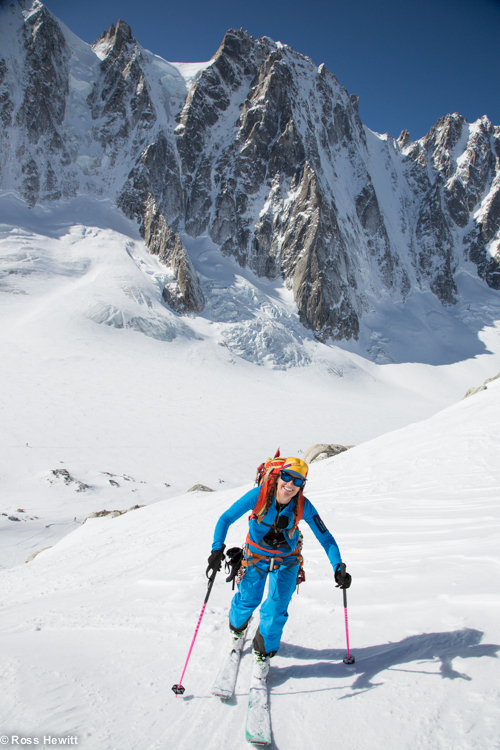 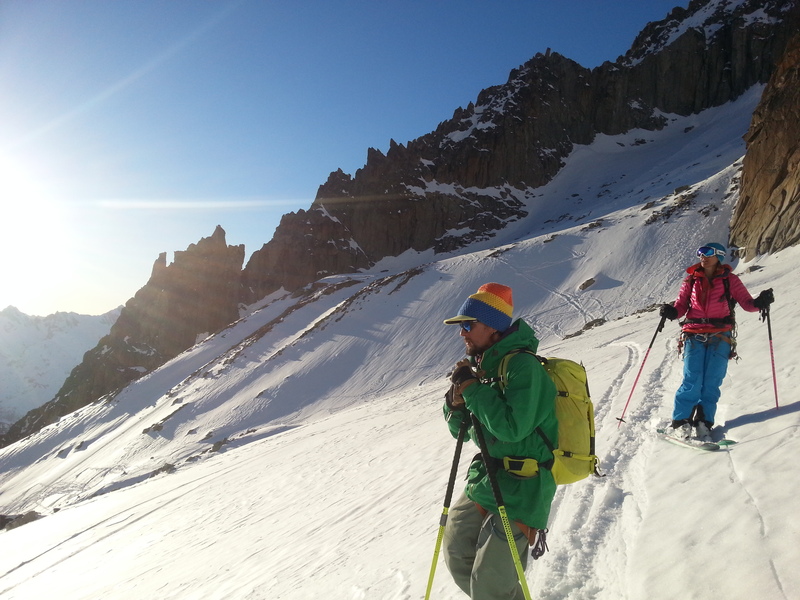 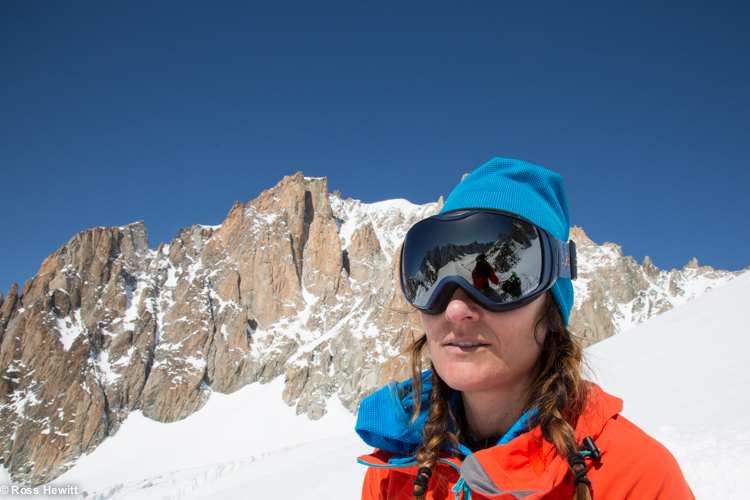 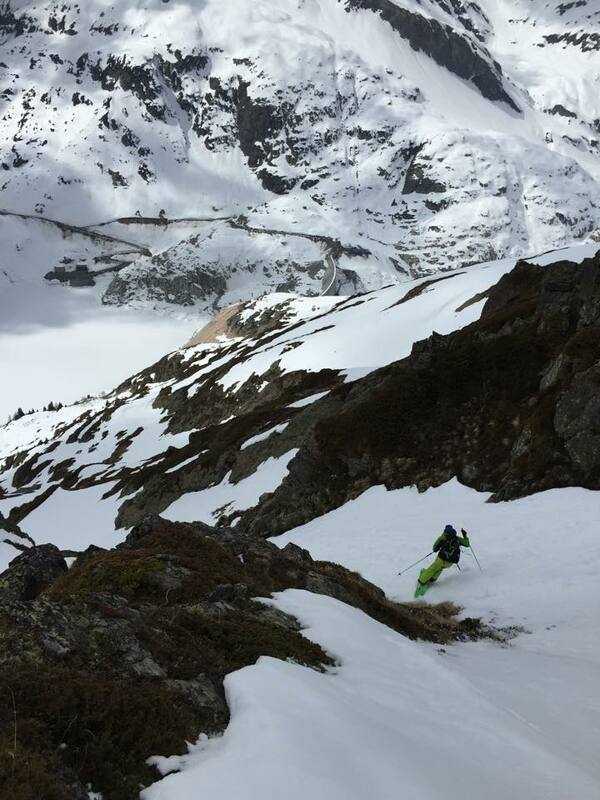 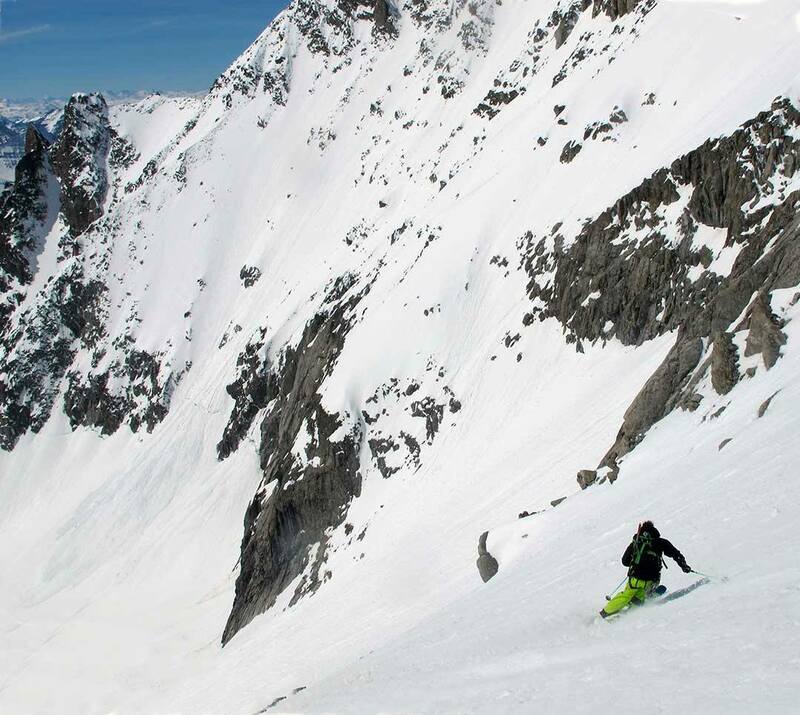 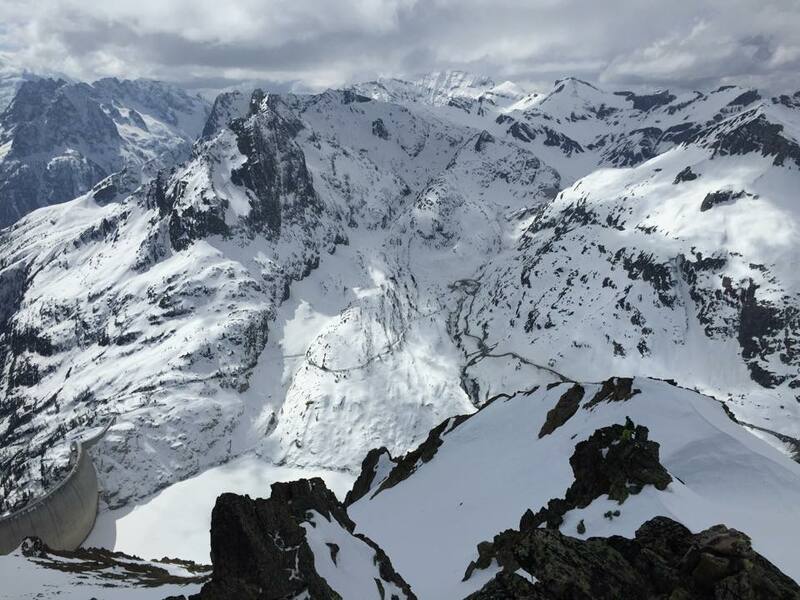 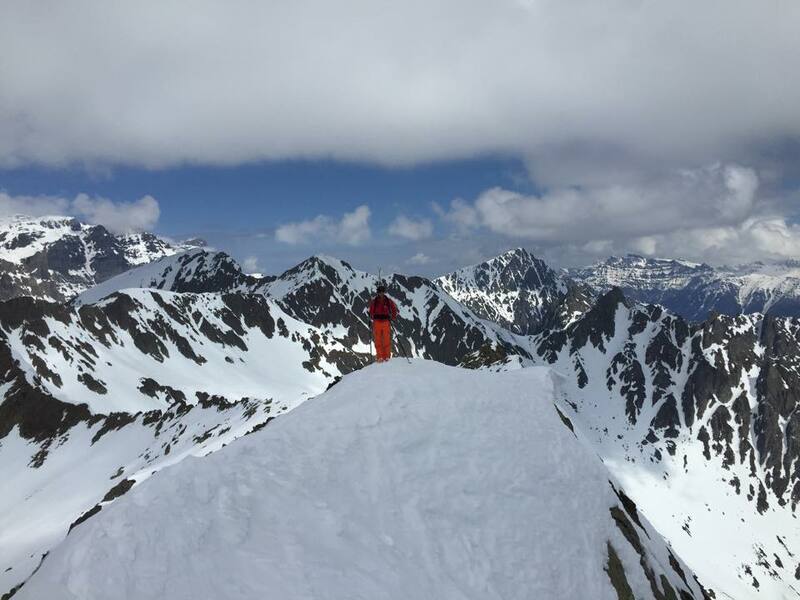 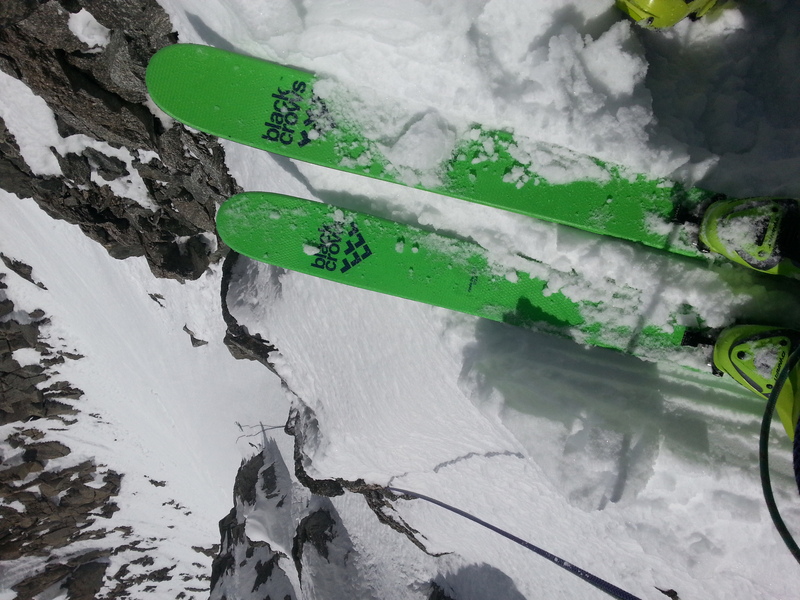 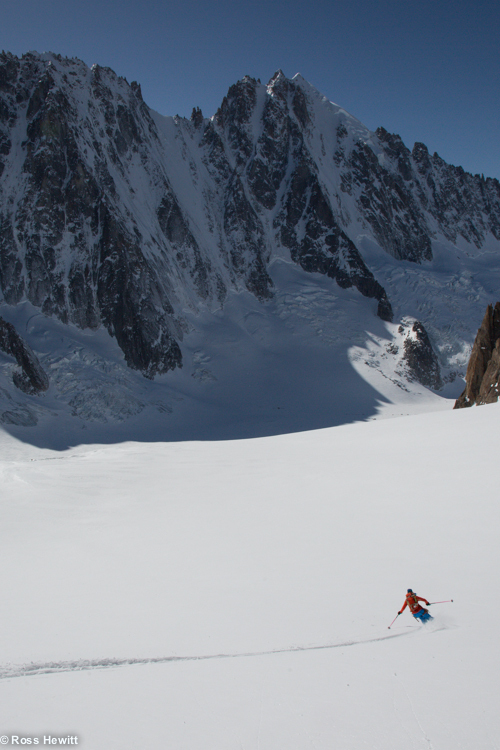 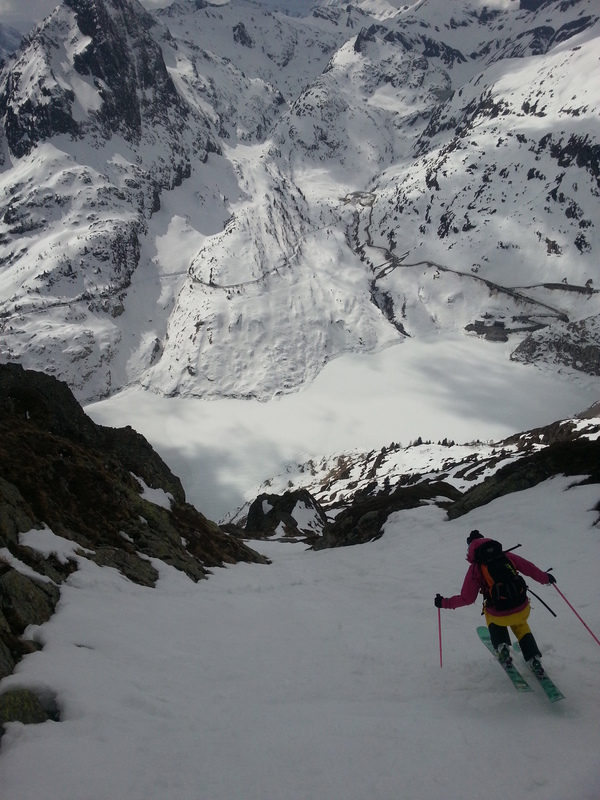 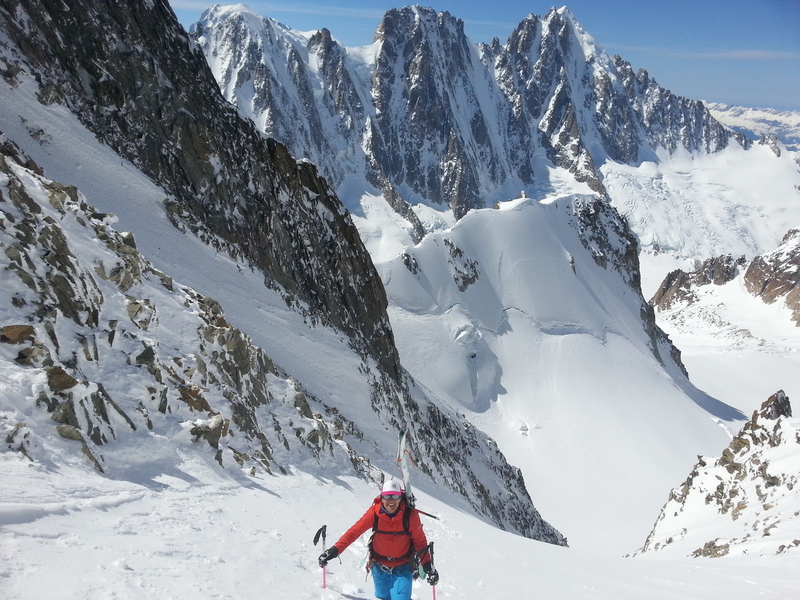 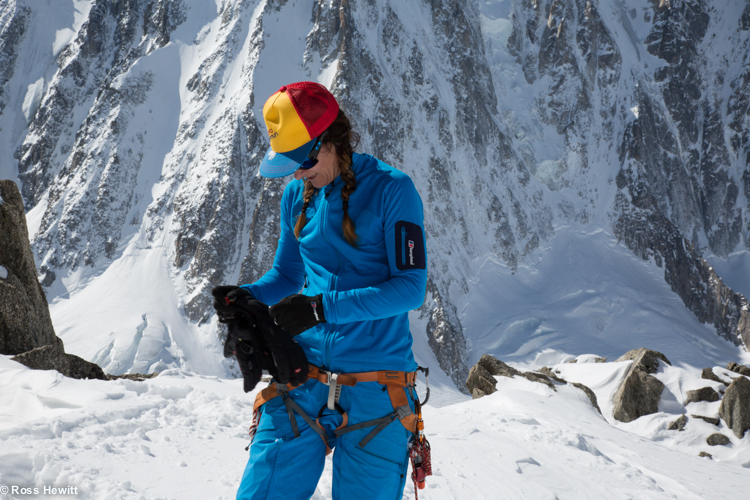 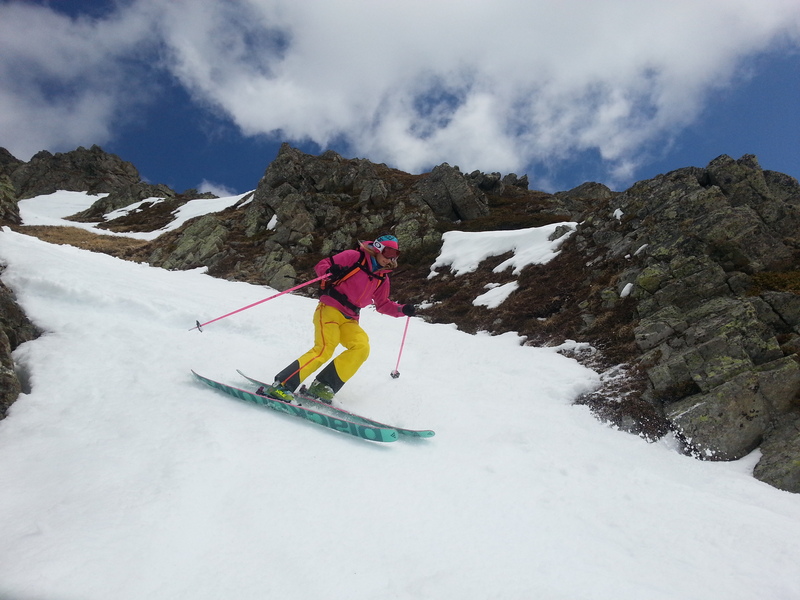 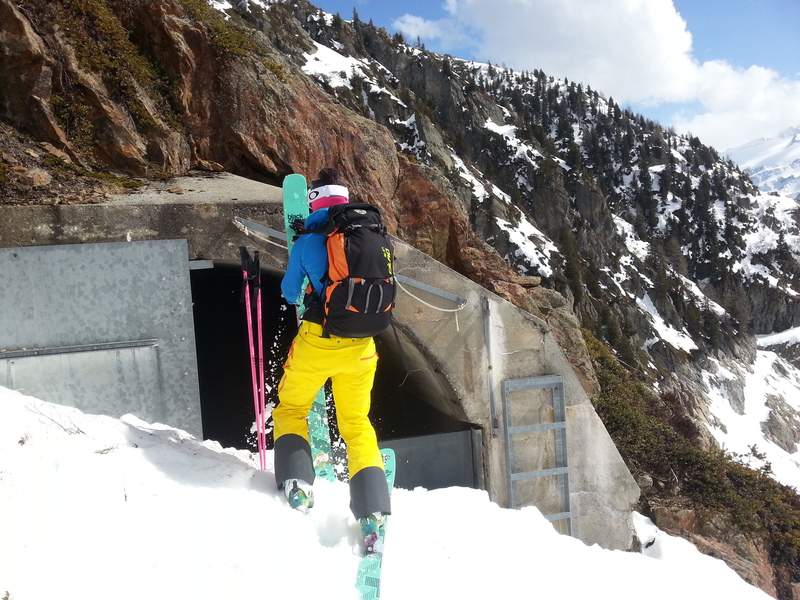 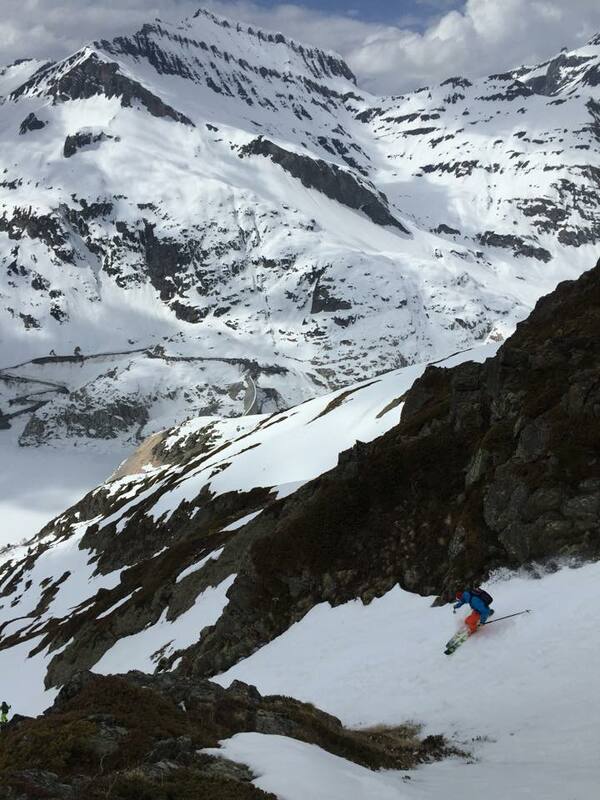 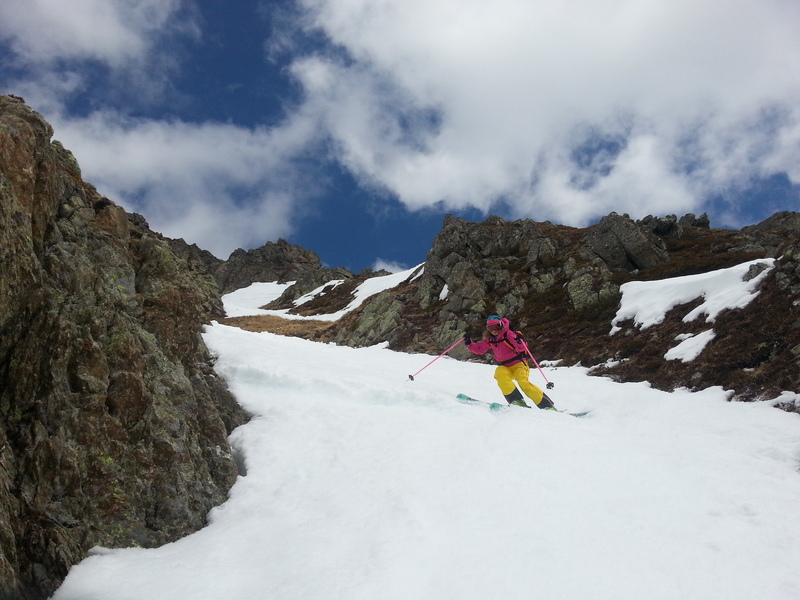 In fact the Charlet-Gallet traverse of Mt Dolent had been on the list for some time and as an intensive period of spring skiing was coming to an end, my friend Emily Roo had jogged my memory at the perfect time. 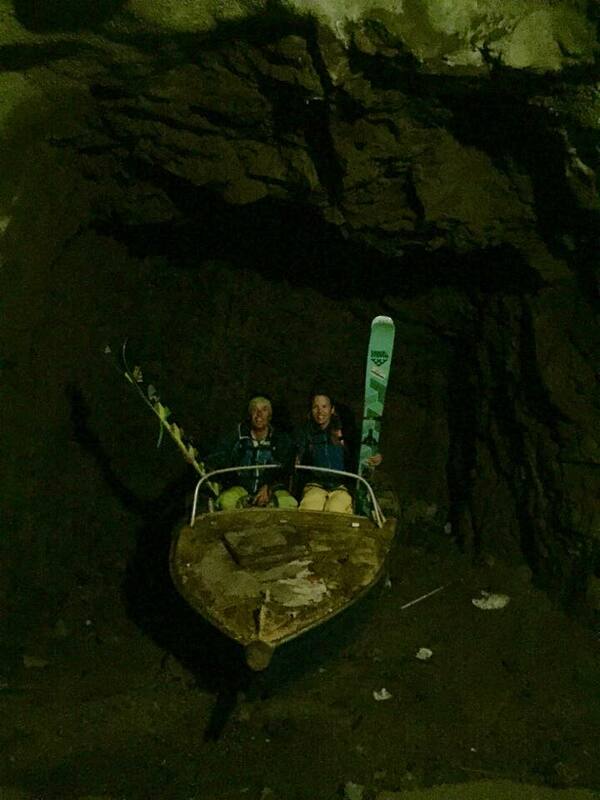 Neither of us had been on the mountain before or had read anything about it so it would be a little adventure. 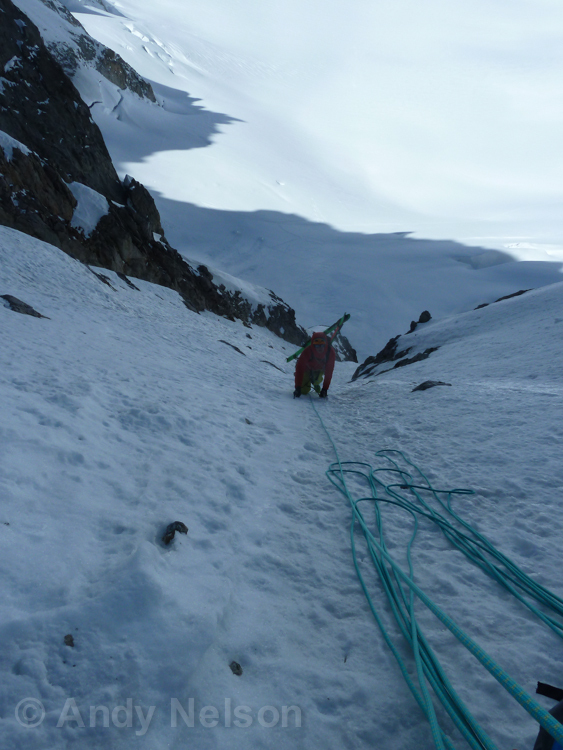 The route should have been straightforward but after about 200 m we were both weighing up the decision to continue or rappel off. 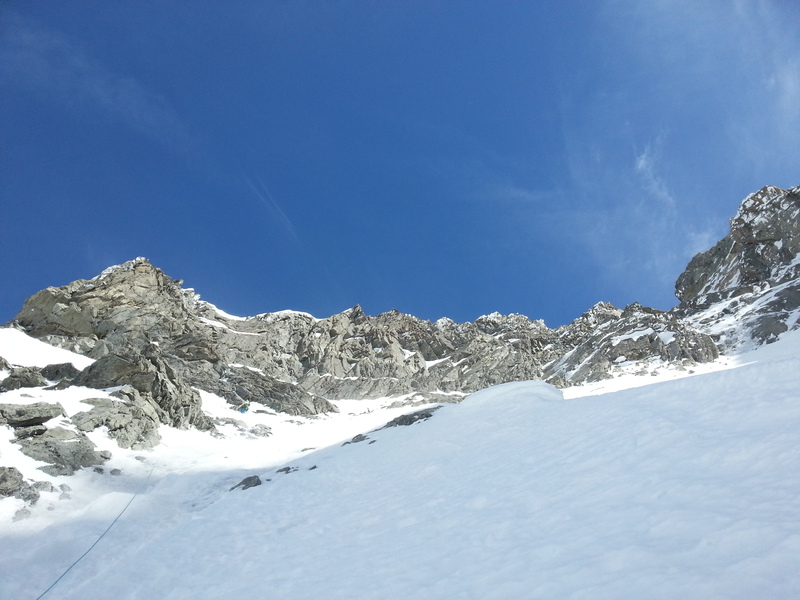 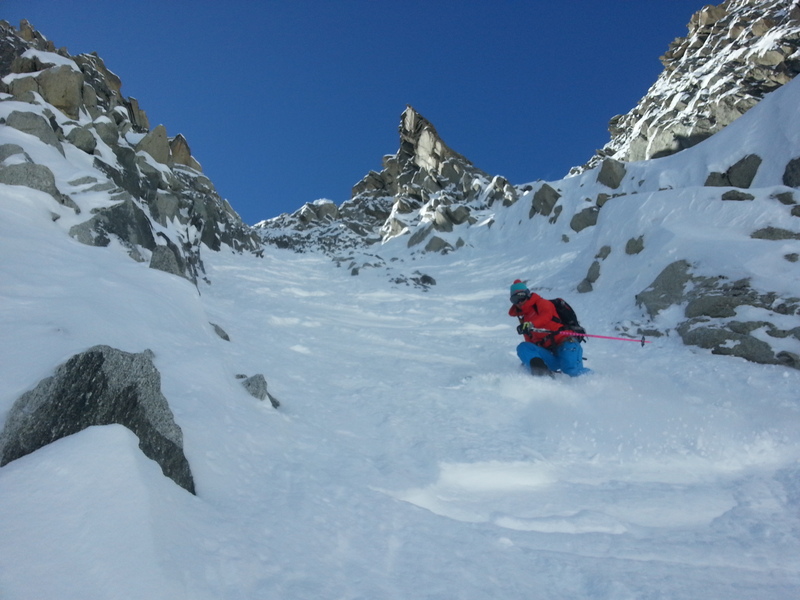 Under a bombardment of rockfall I had seconded up to Andy with my head down below my skis to collect the gear while he looked down wincing as football sized boulders narrowly missed decapitating me. 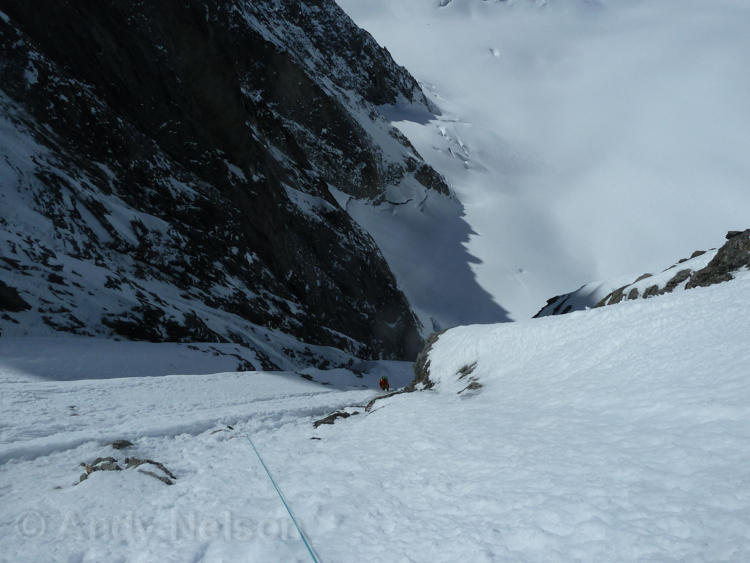 As I reached Andy he dropped the gear down the rope and I climbed as fast as I could and kept going until we broke out left onto the ramp. 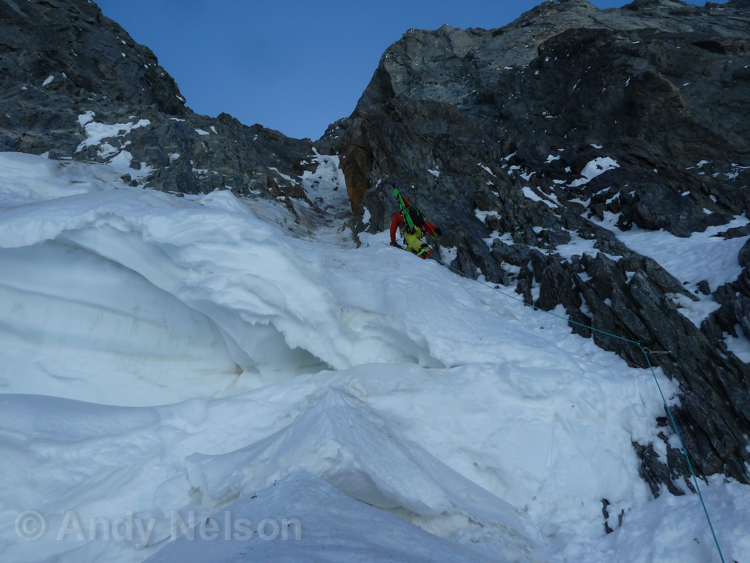 Now clear of the rockfall we were able to relax a bit and it was Andy’s turn to wade up steep faceted mank to the headwall. 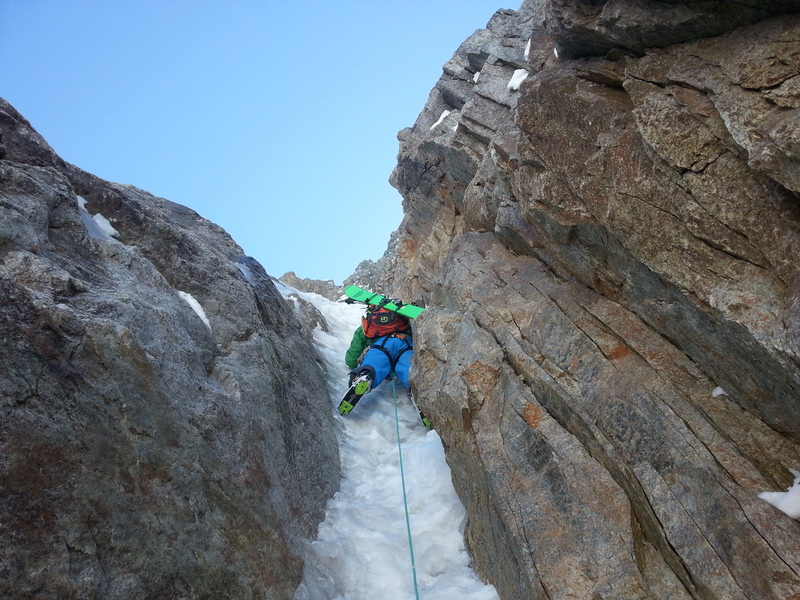 Much to my horror he took a belay there and it was my turn to experience some deep facets over rock while looking desperately for a rock anchor amongst the shattered weetabix. 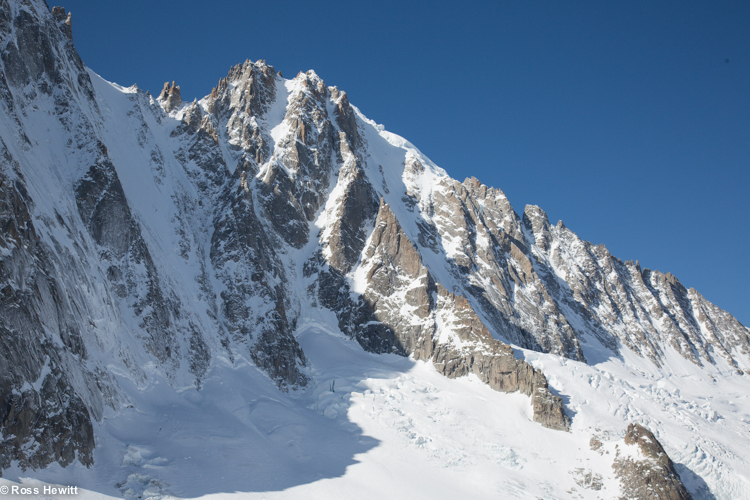 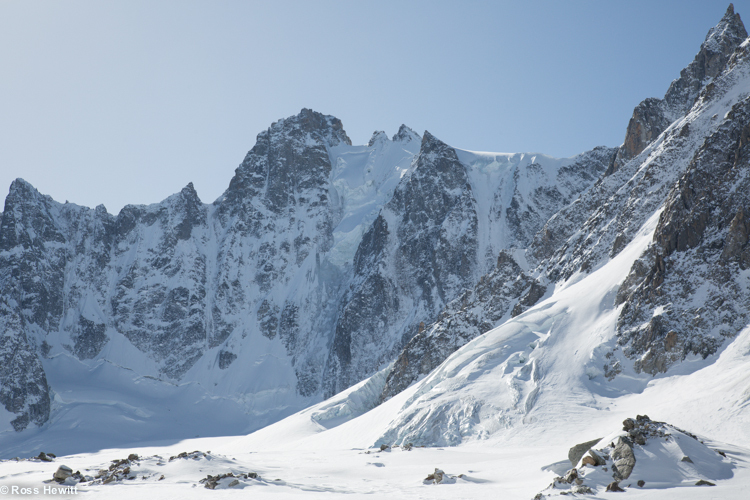 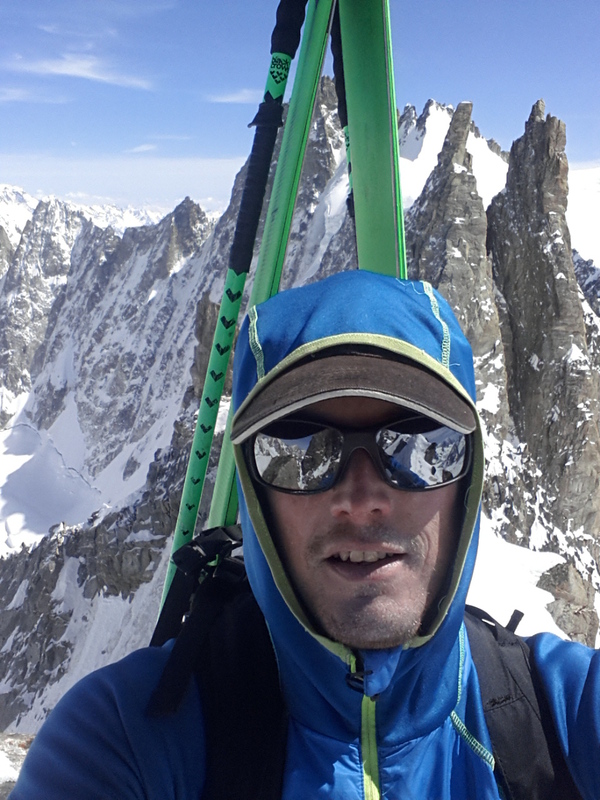 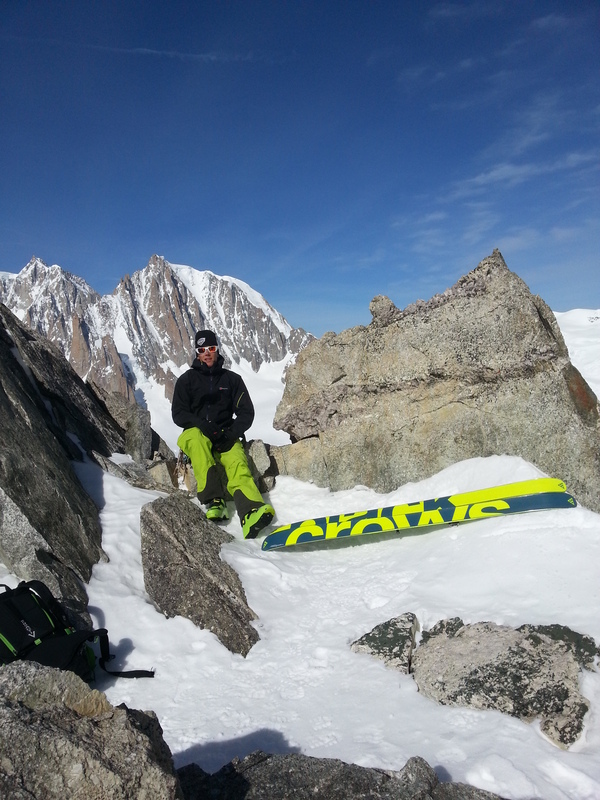 I was pretty relieved to reach the col and some sound spikes where I chilled out and took in the view down the Argentiere basin. 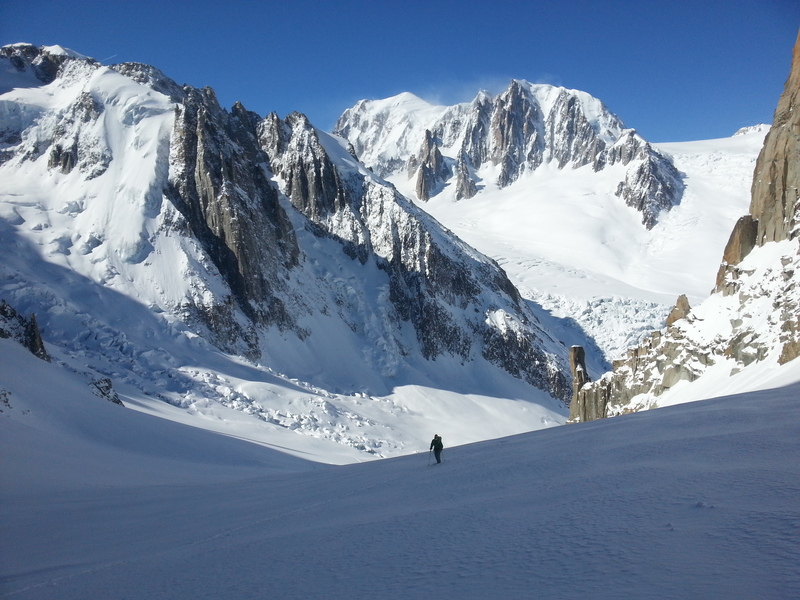 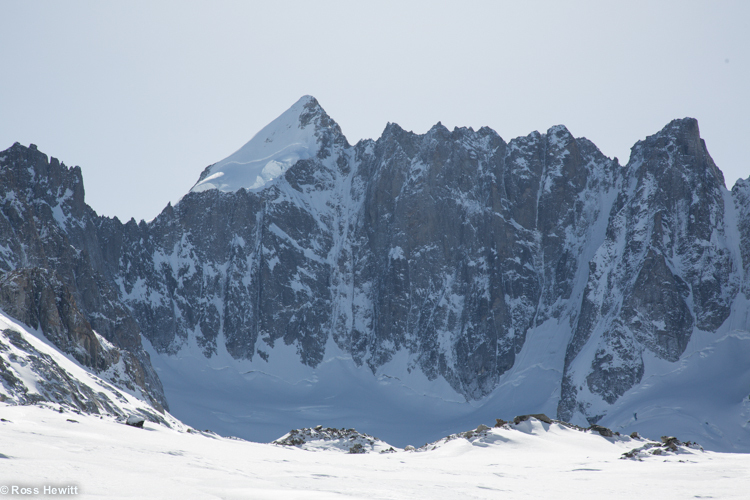 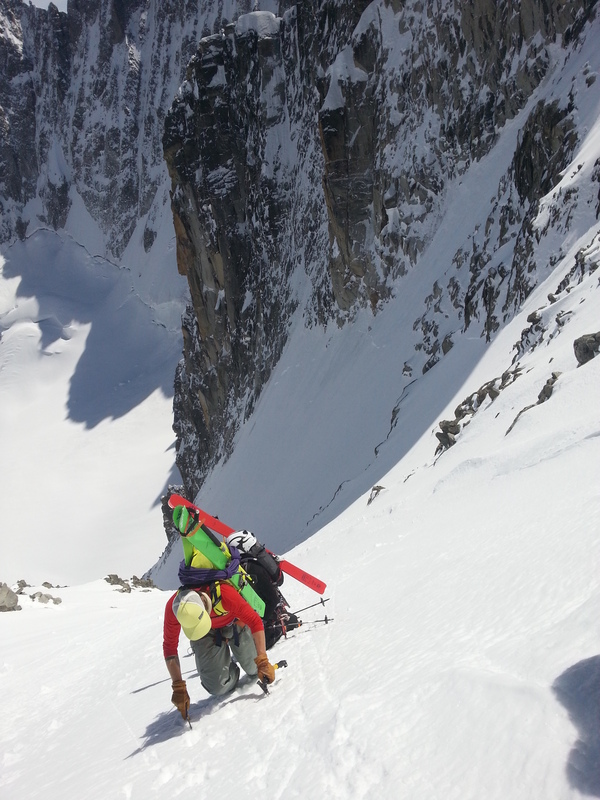 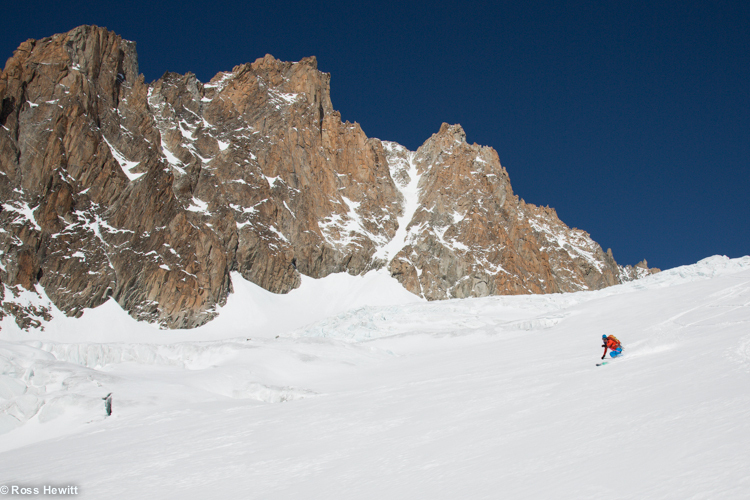 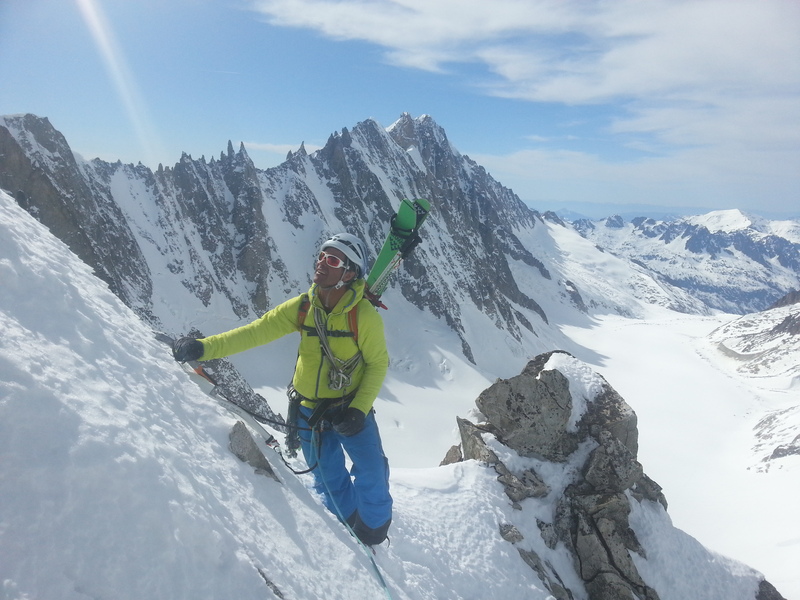 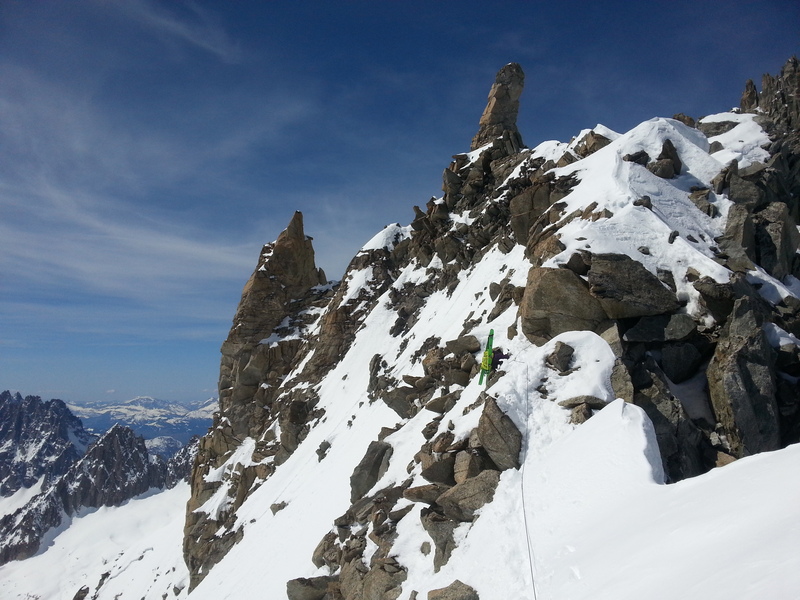 A quick traverse to the rimaye under the North Face and we were able to put our skis on and descend the exposed Gallet ridge. 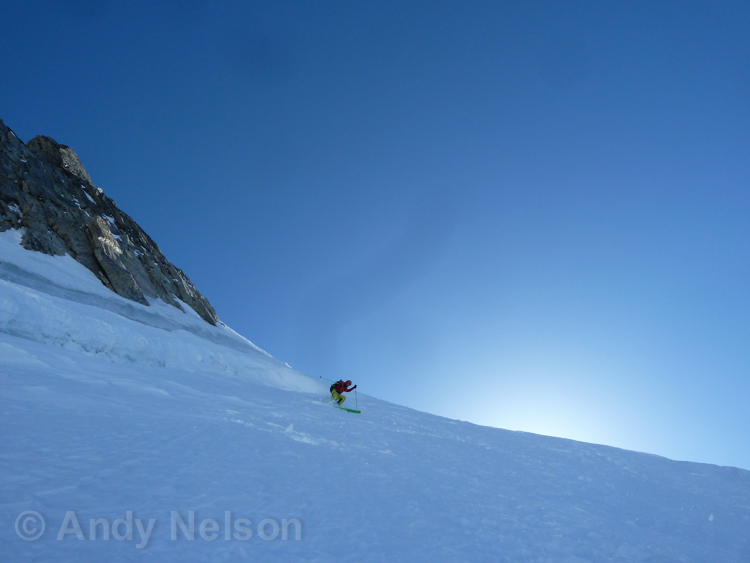 Just before flipping the ridge we had to change to crampons for a 10 m section of ice on the traverse but we were back on skis on the crest of the ridge with the pub beckoning. 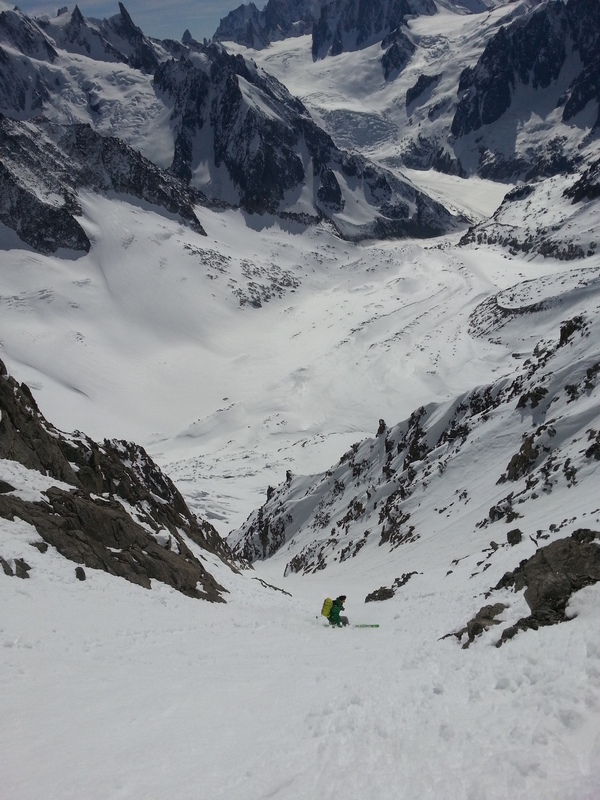 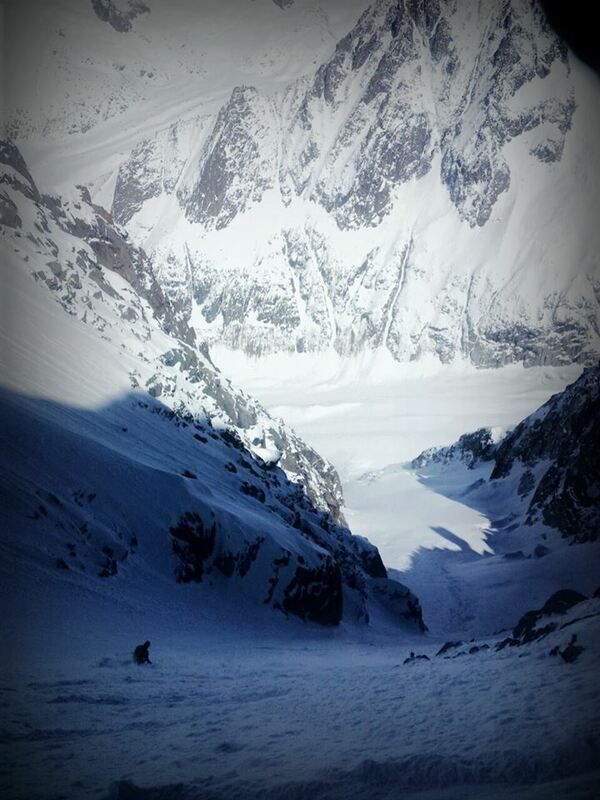 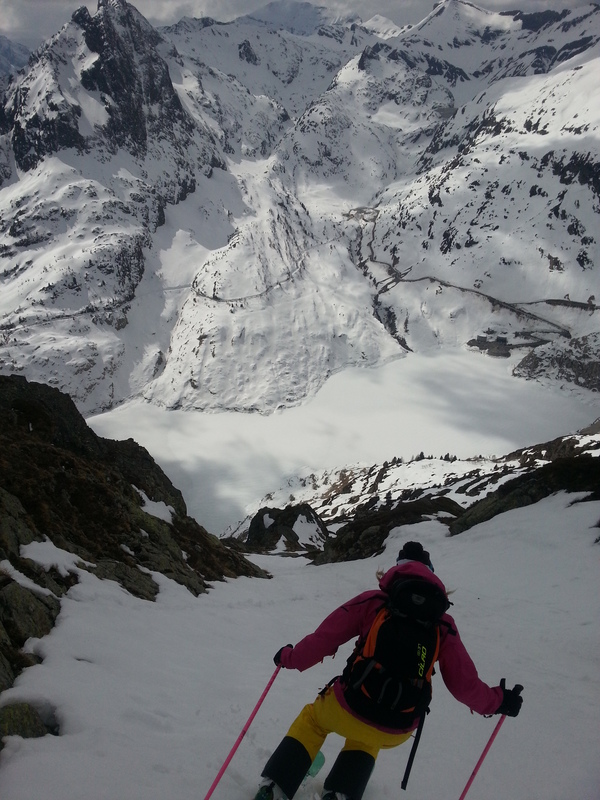 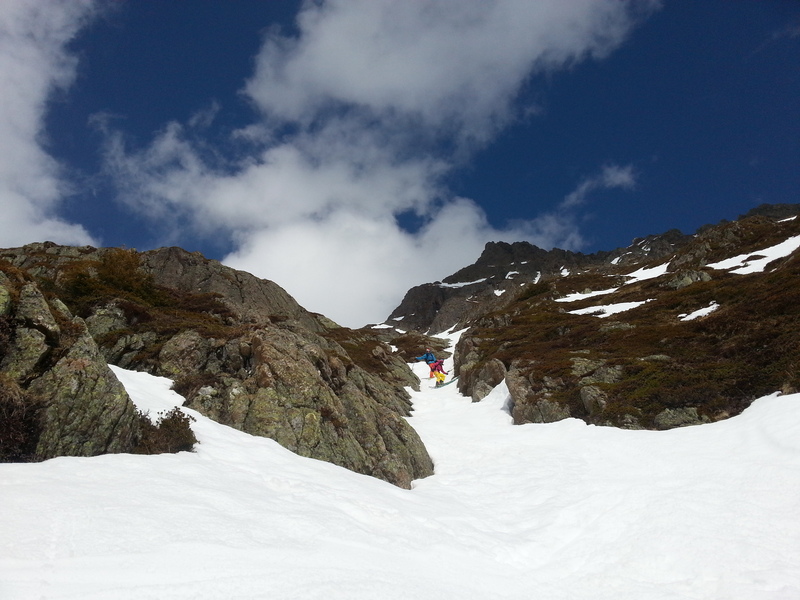 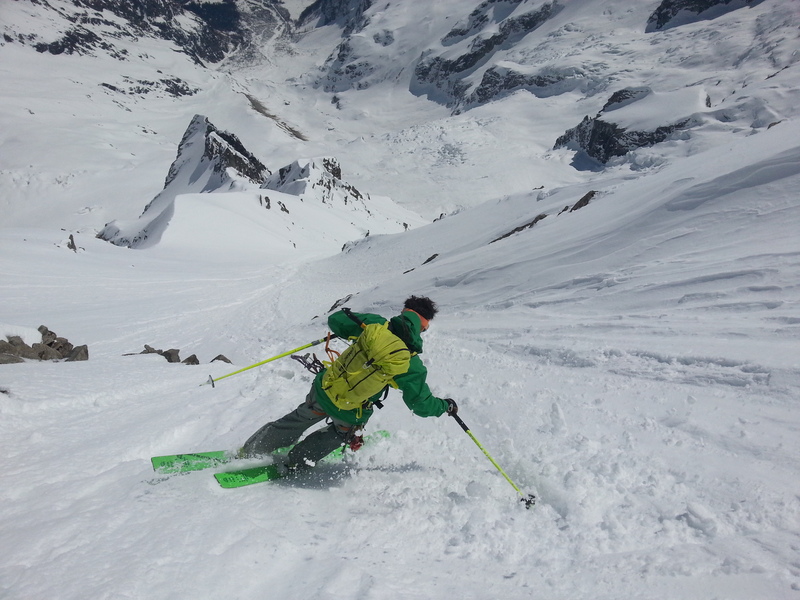 All that separated us from the pub at La Foully was a 1500 m 10 minute meadow skip down the glacier right? 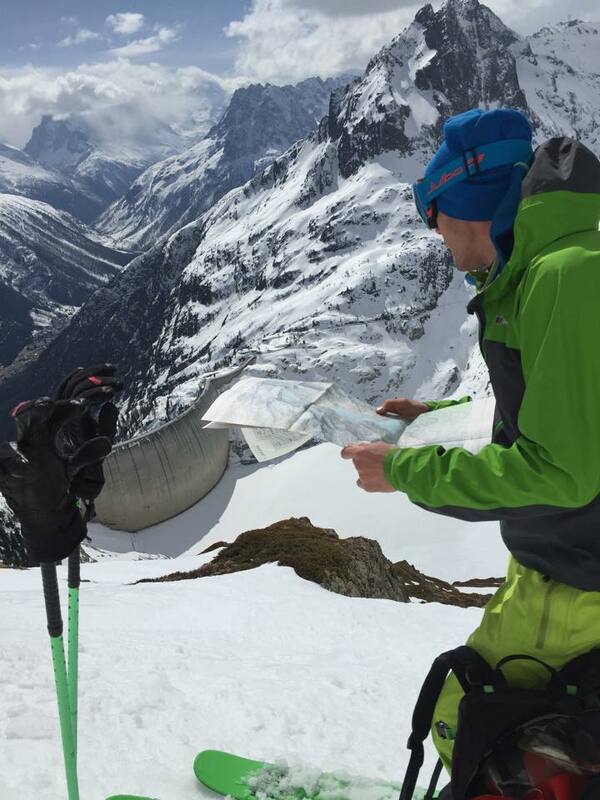 Wrong, its pretty complicated crevasse territory and difficult to read onsight. 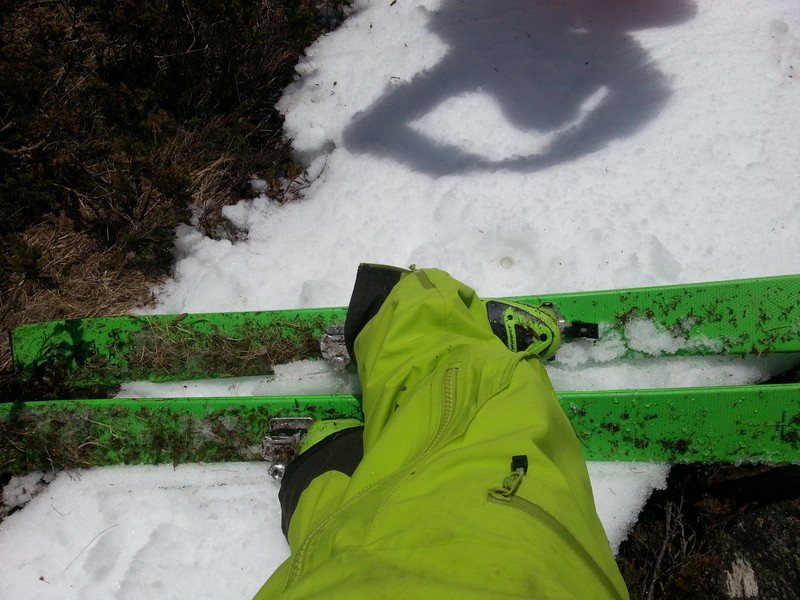 And did I mentioned the 2 inch crust? 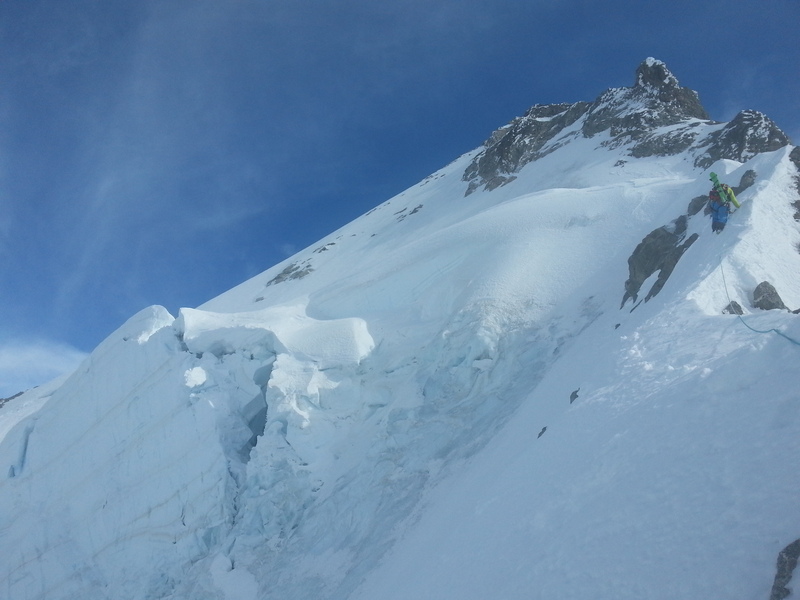 Holy Jesus it just about ripped my face off when it caught me unawares, once minute supporting you, the next trying to eat you. 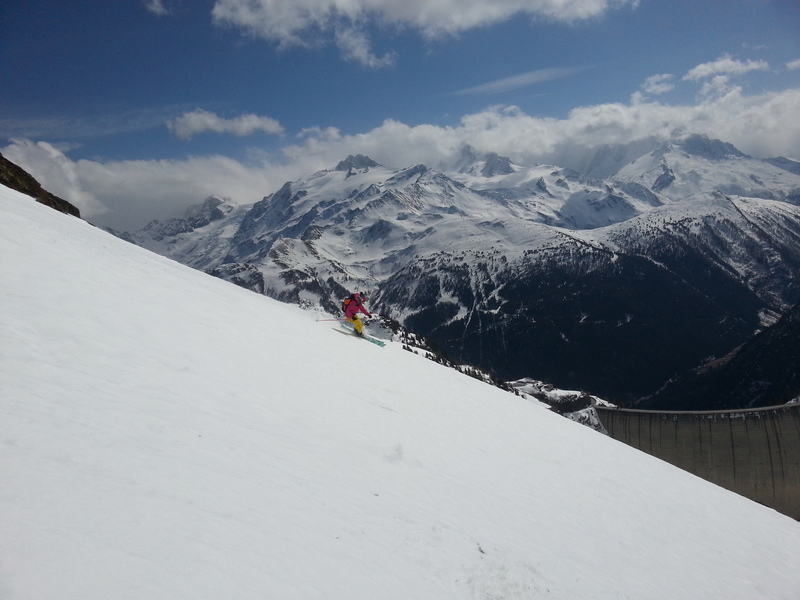 Anyways we made it to the bar. 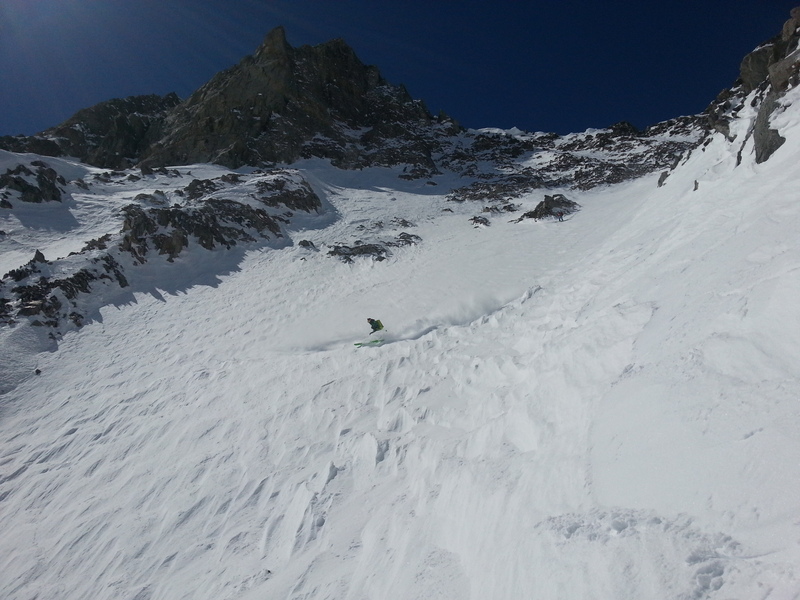 1.5 hours later. 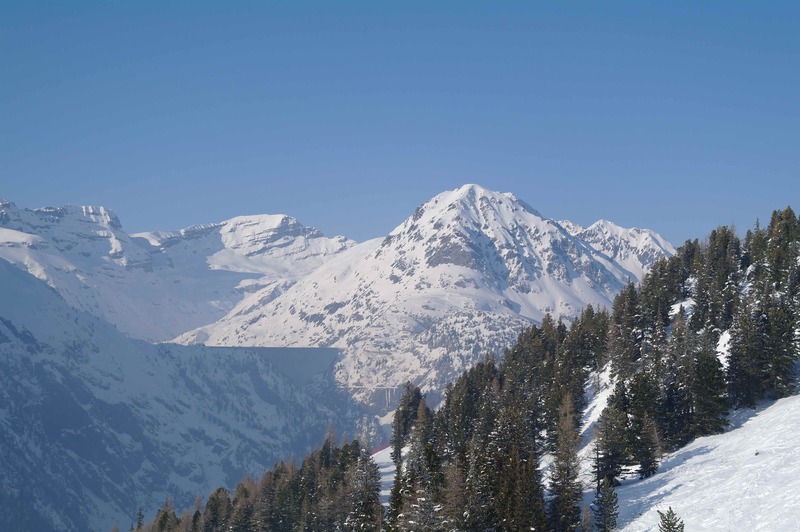 The bar maid started to treat me like a local as I had been skiing so many routes to there and soon had 2 pints of ‘red’ on the table for each of us. 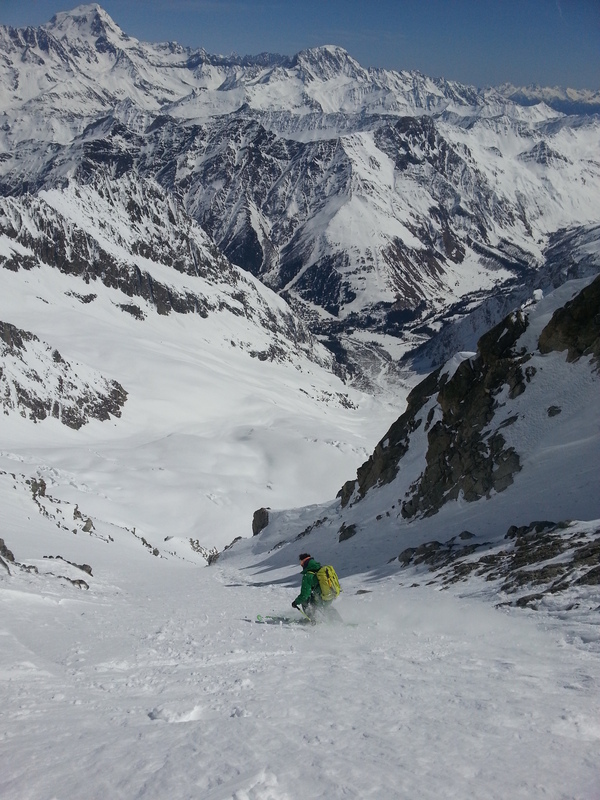 ‘Service’ as they say in Switzerland. 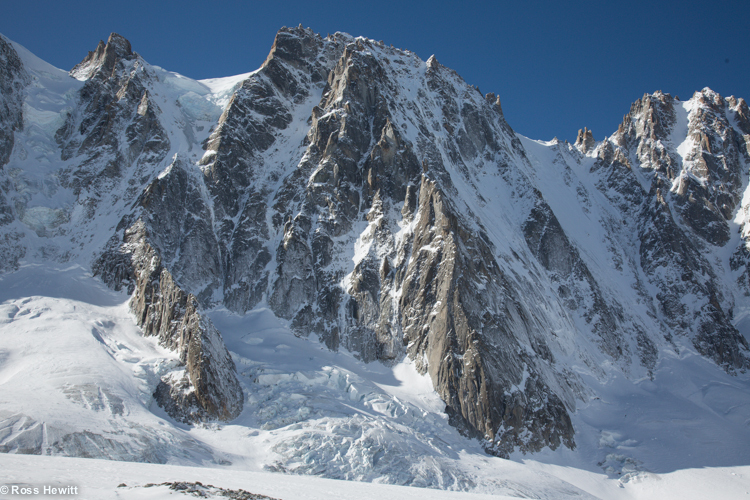 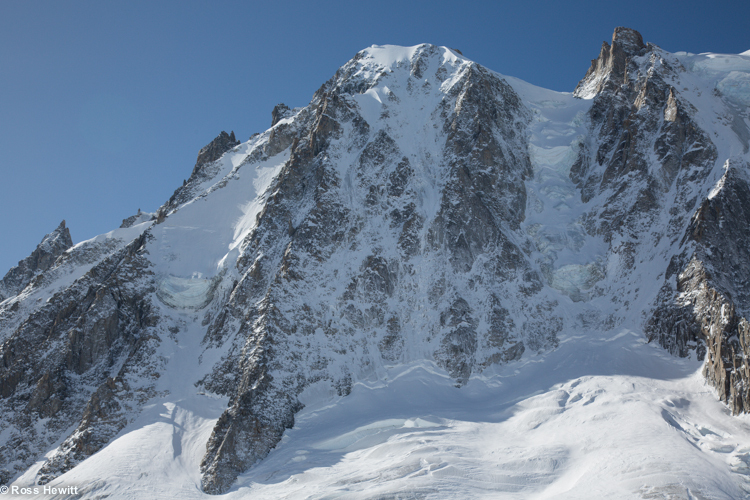 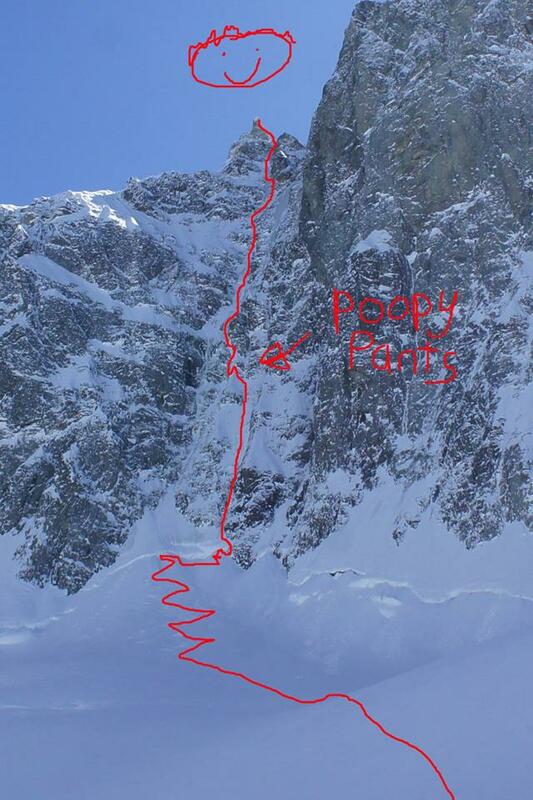 This is John McCune’s Poopy Pants traverse – see his topo below. 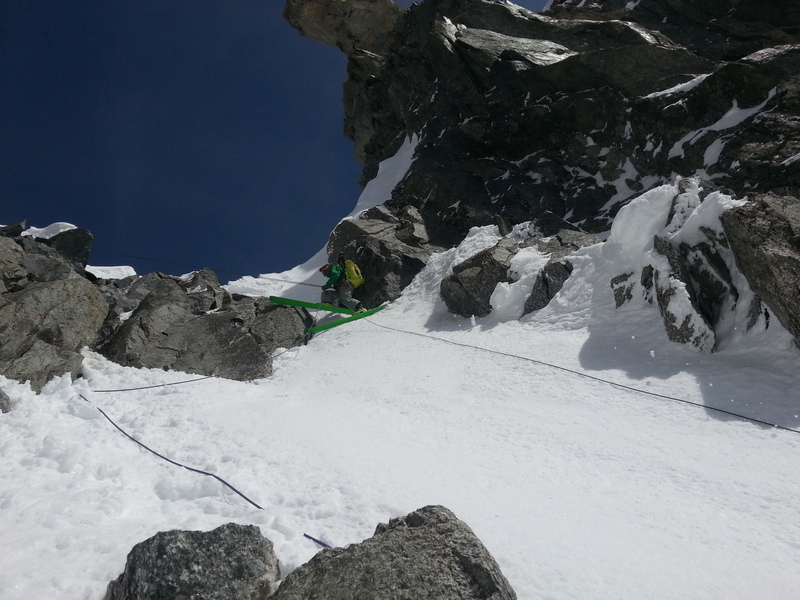 He was soloing over sugar coated slabs and I was under fire from rock fall so have no recollection of it as I was maxed out trying to go as fast as possible. 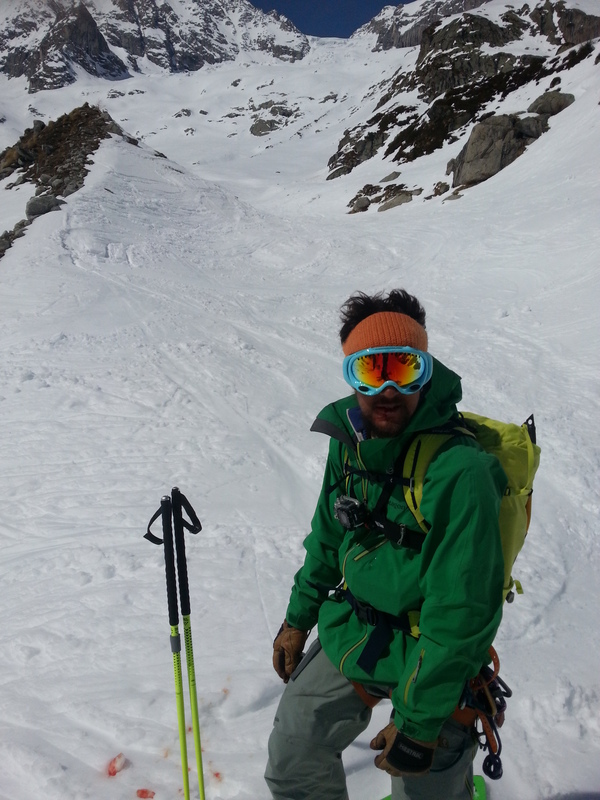 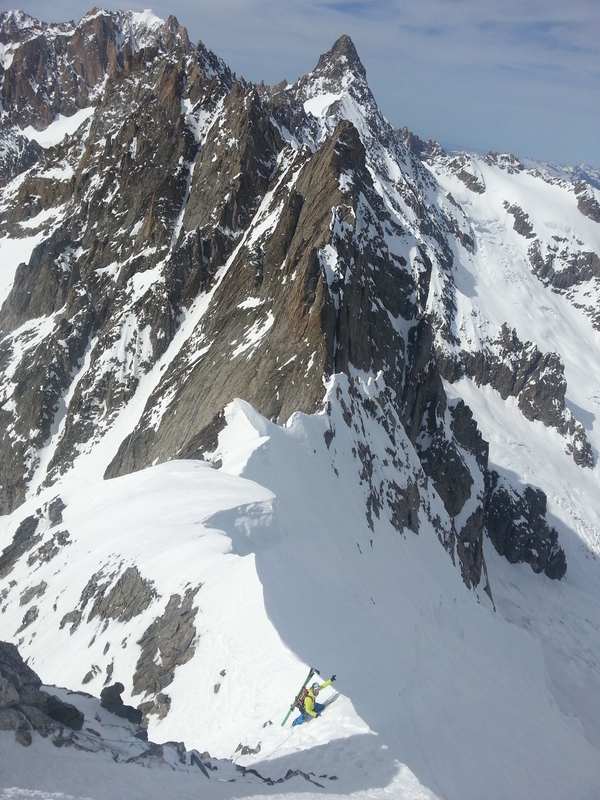 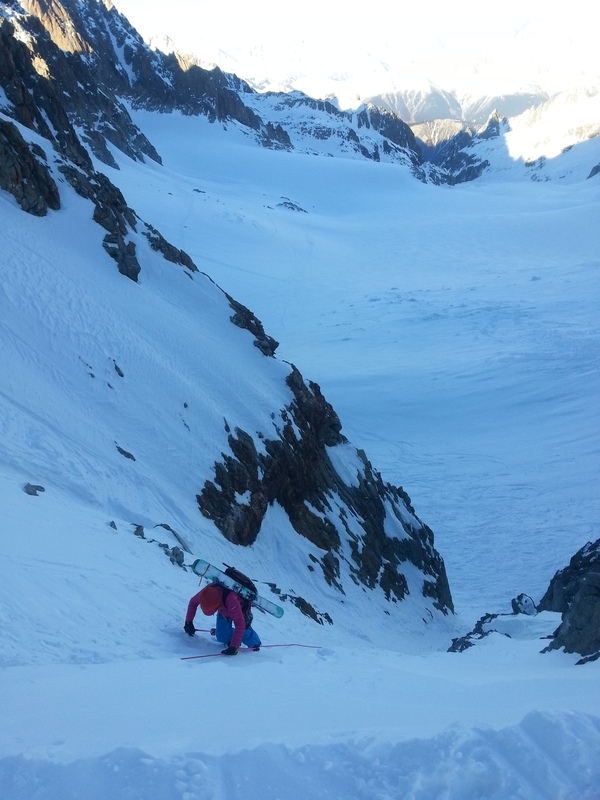 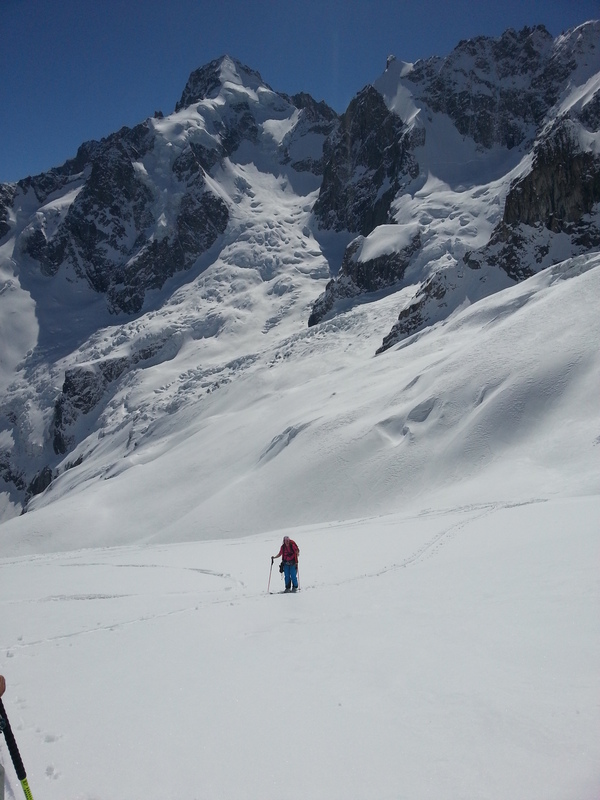 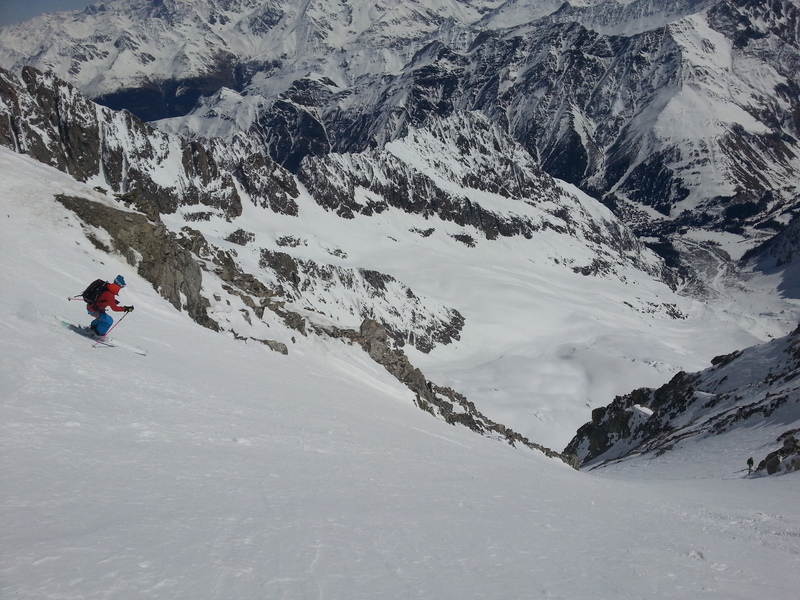 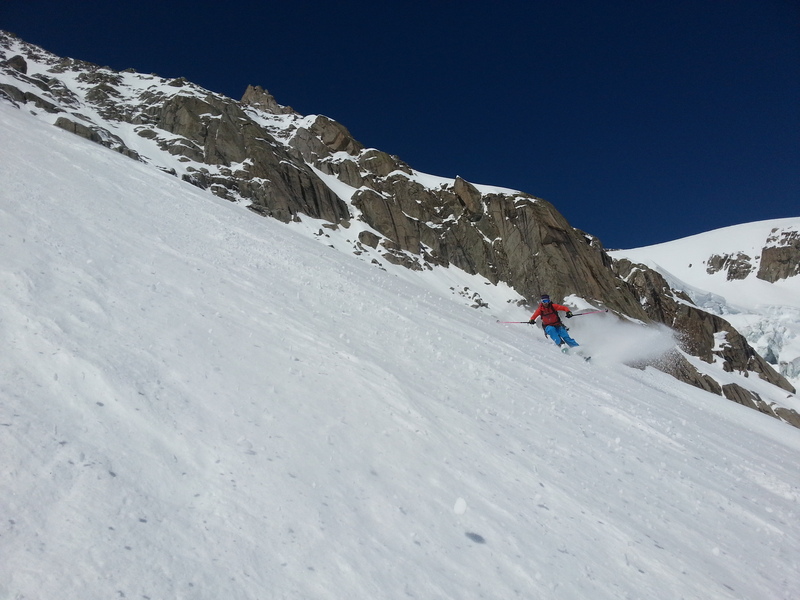 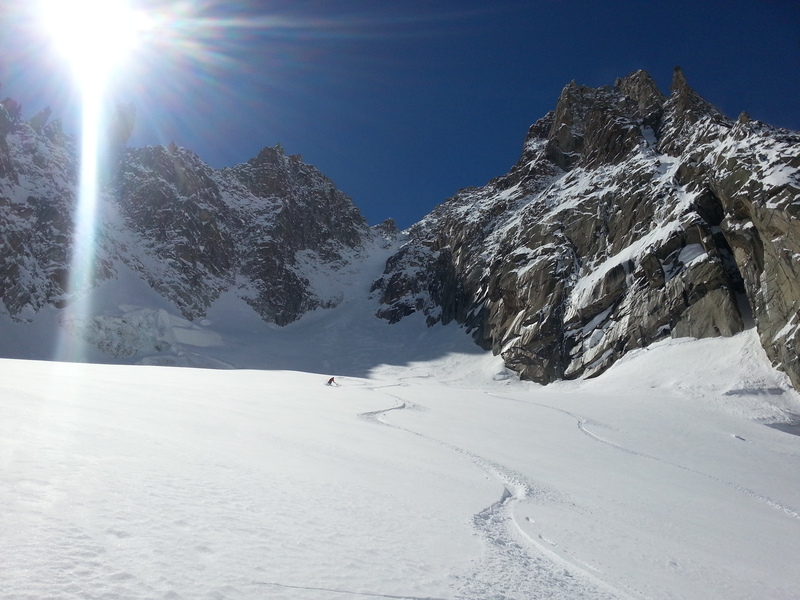 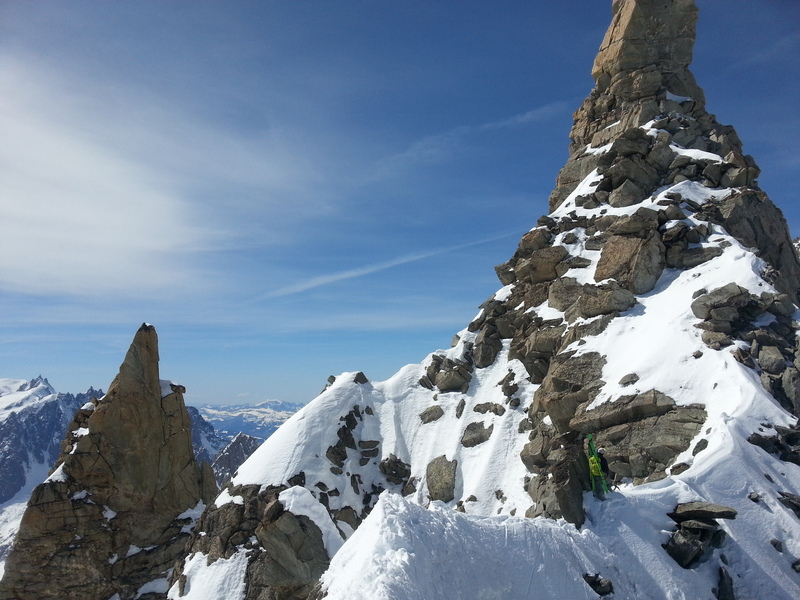 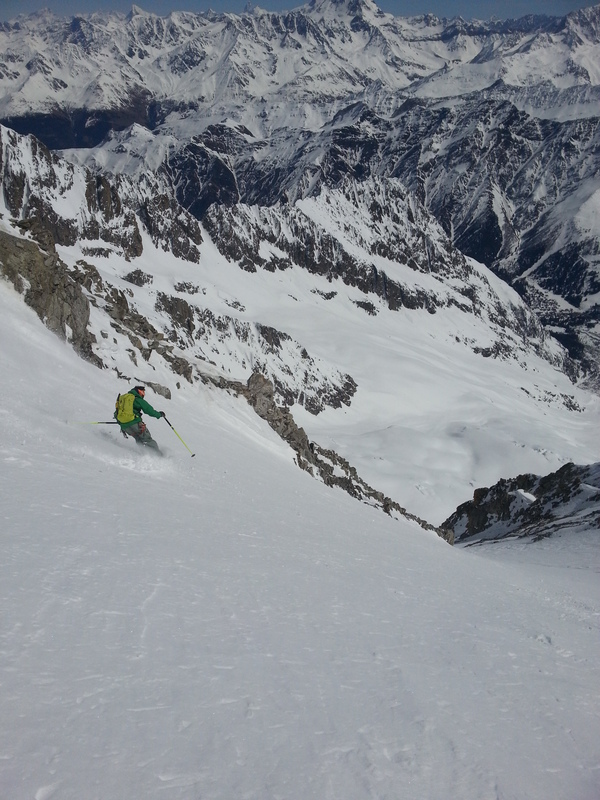 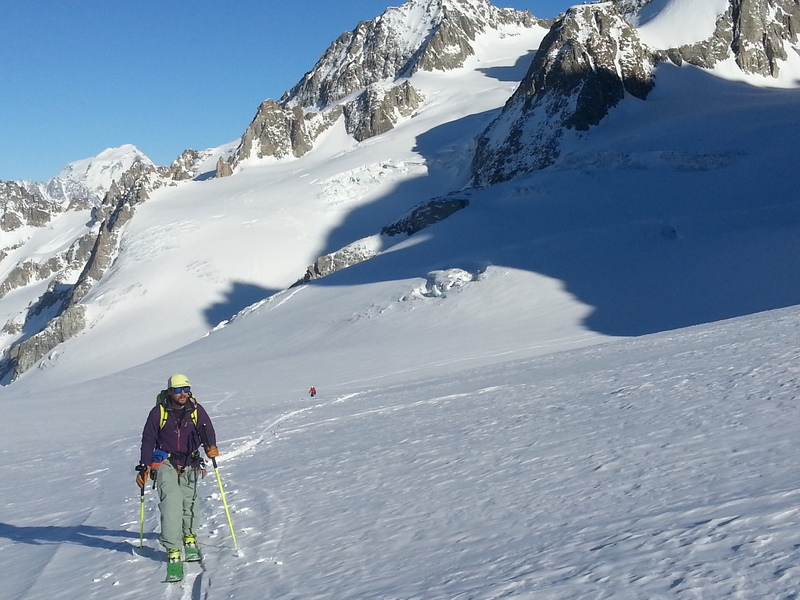 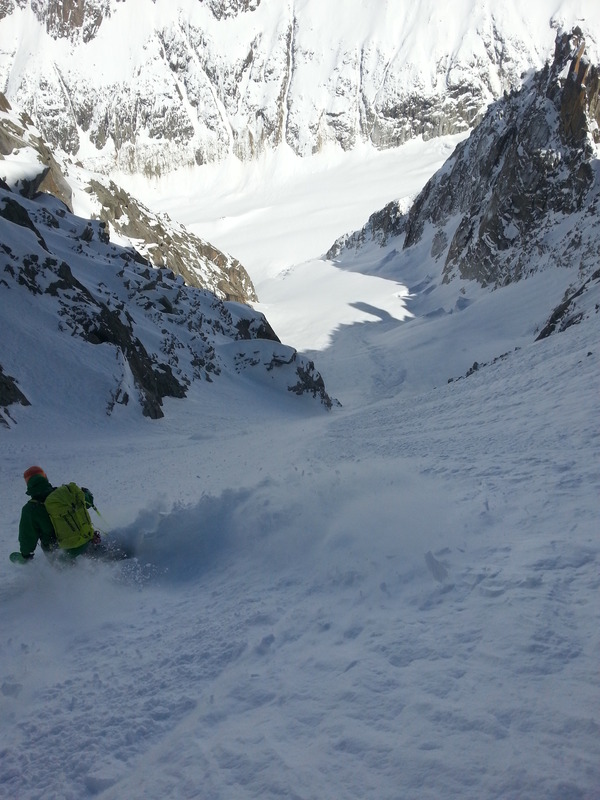 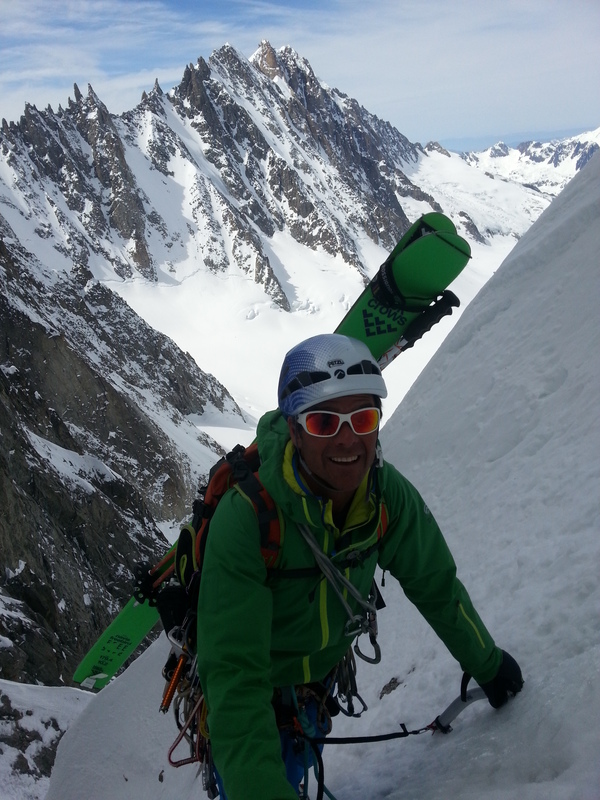 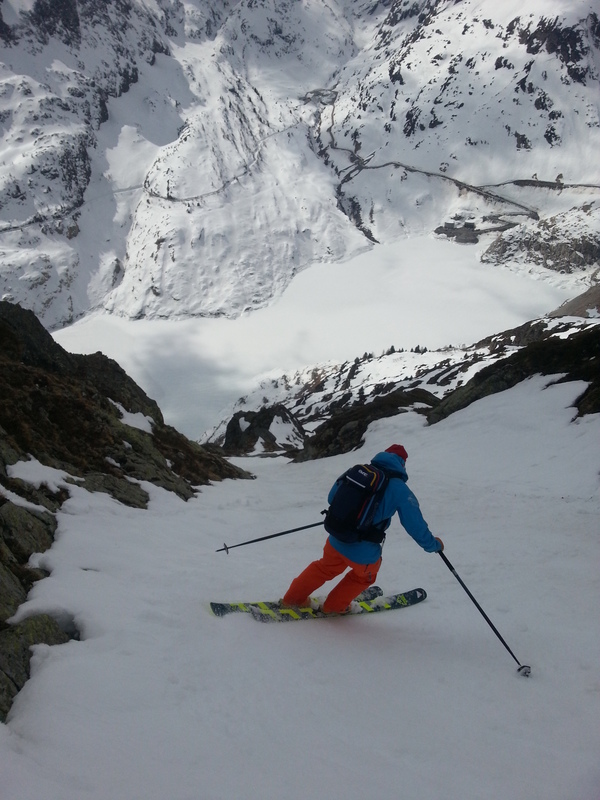 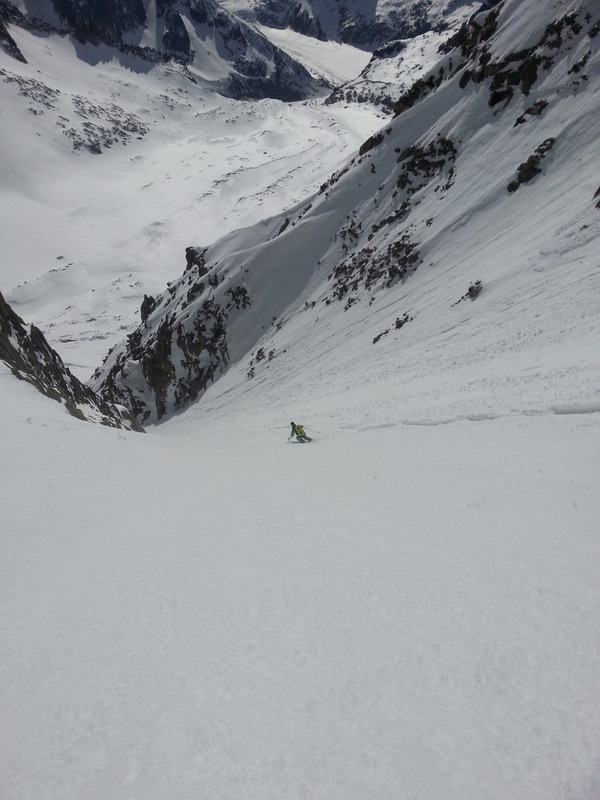 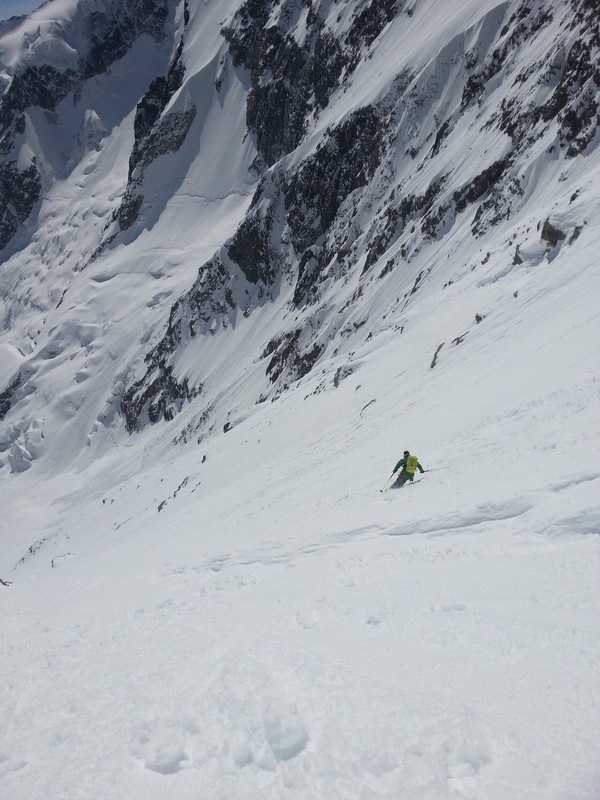 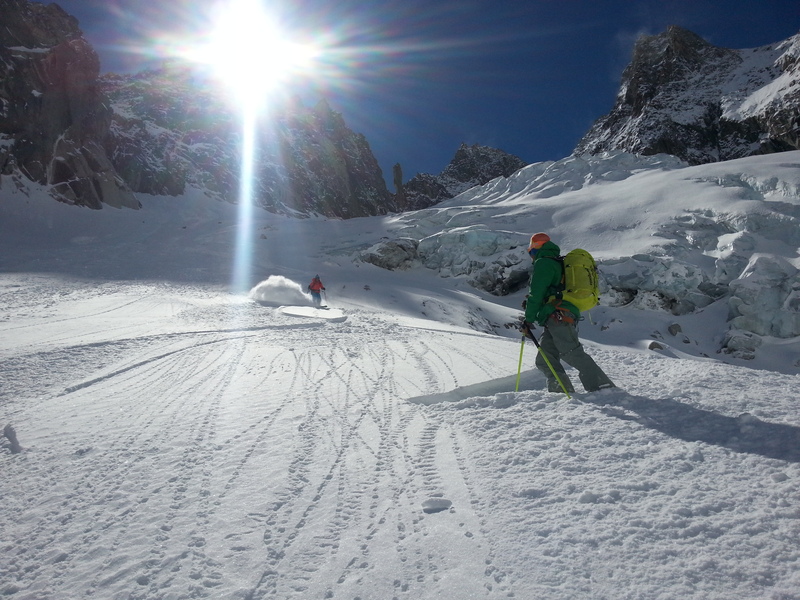 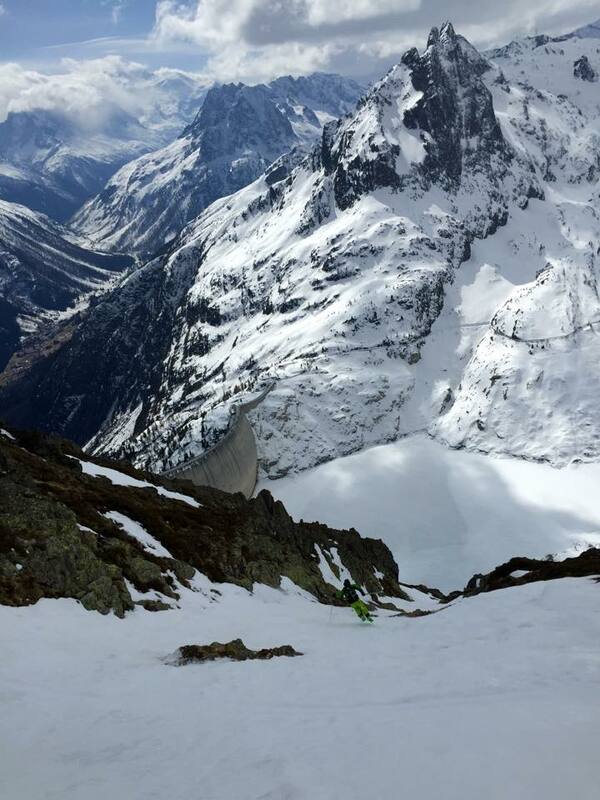 Andy and all the classic ski lines of the Argentiere basin in behind Taking a breather now we are out of the rock fall zone. 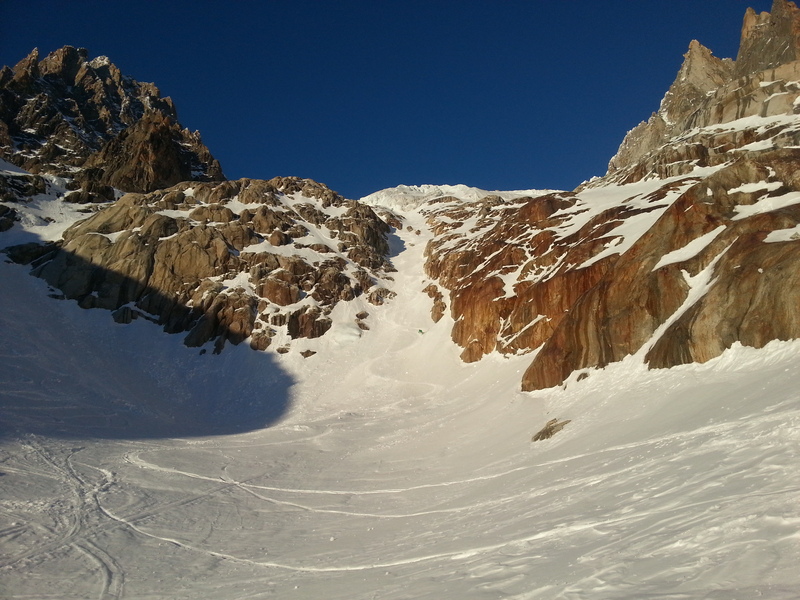 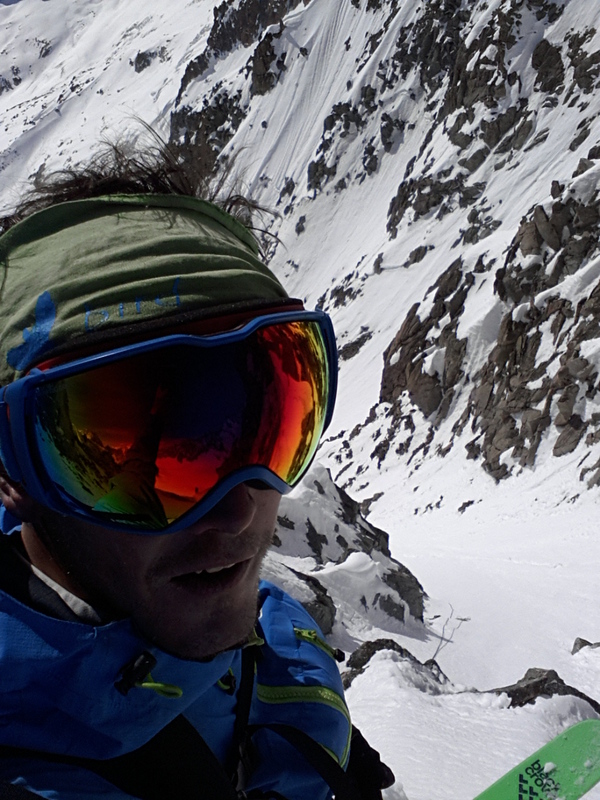 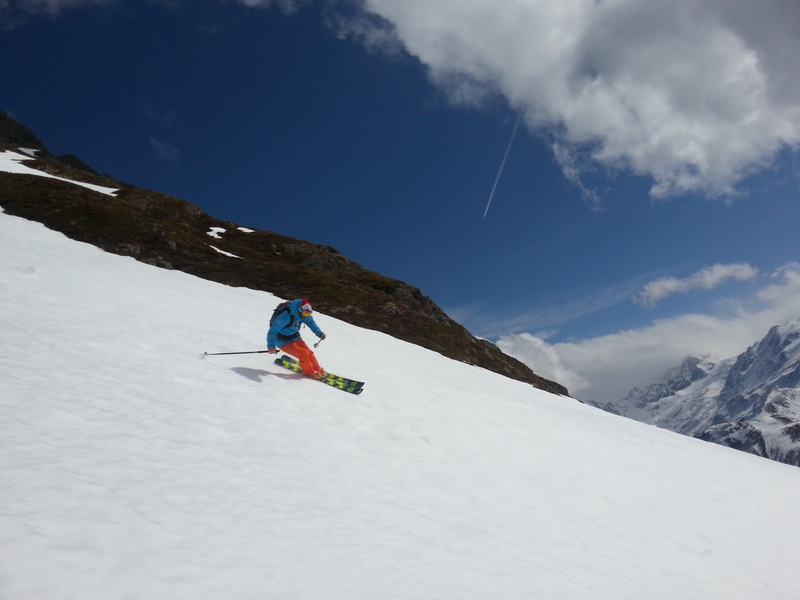 Pierre Tardivel skied to this spot in his ski descent in the late 90s. 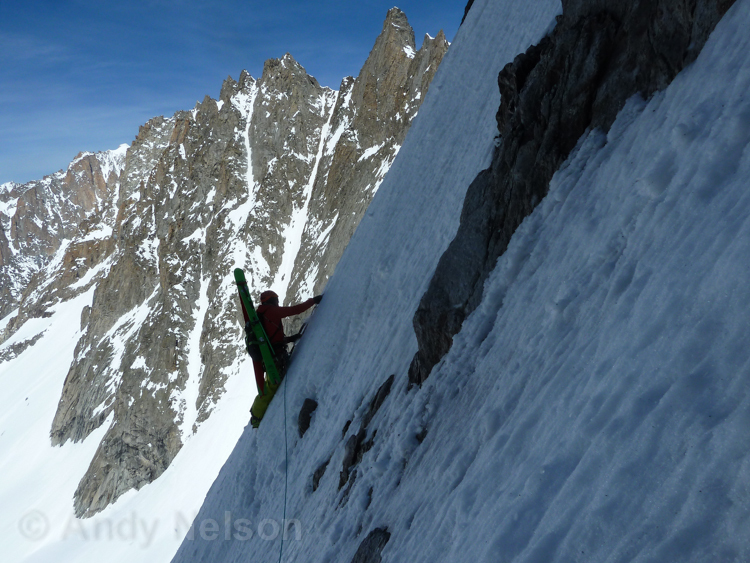 Faceted death mank, my favourite especially combined with the weetabix rock. 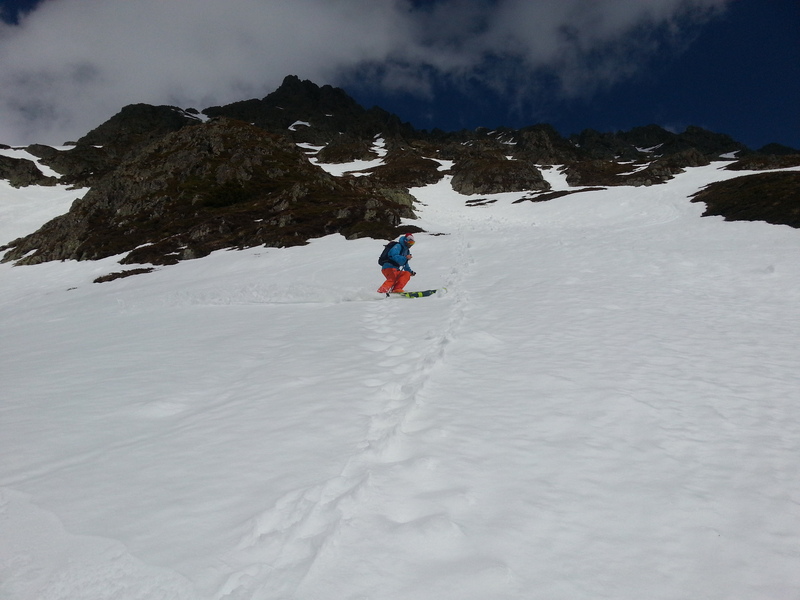 I guess some Alpine rock experience in New Zealand didn’t go to waste. 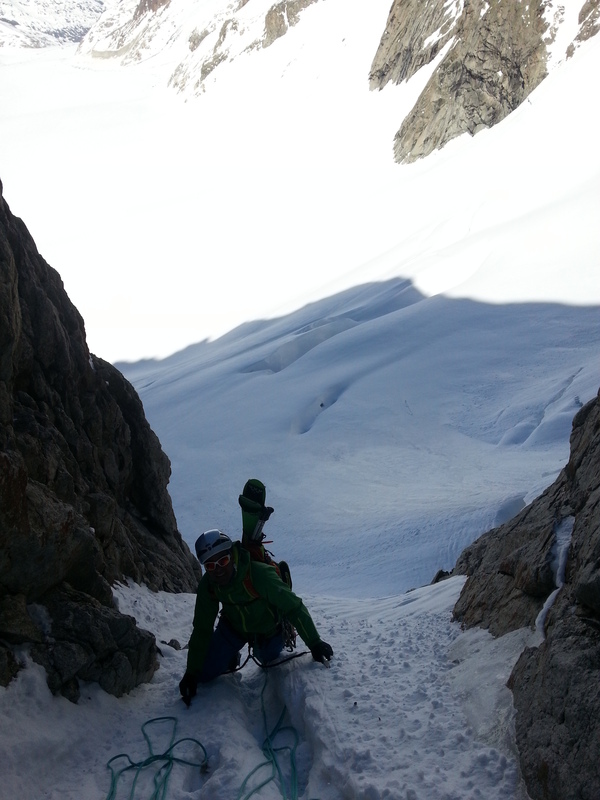 Andy nearly as excited as me to get off the 60 degree sugar coated rock.